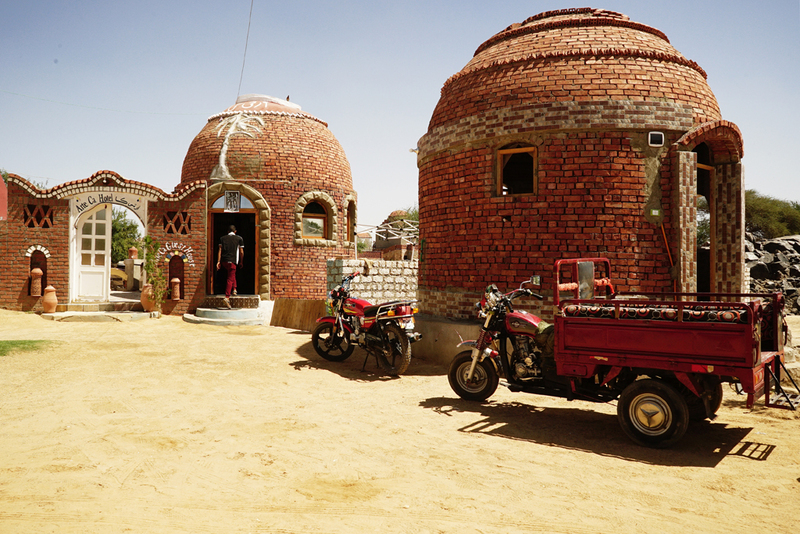 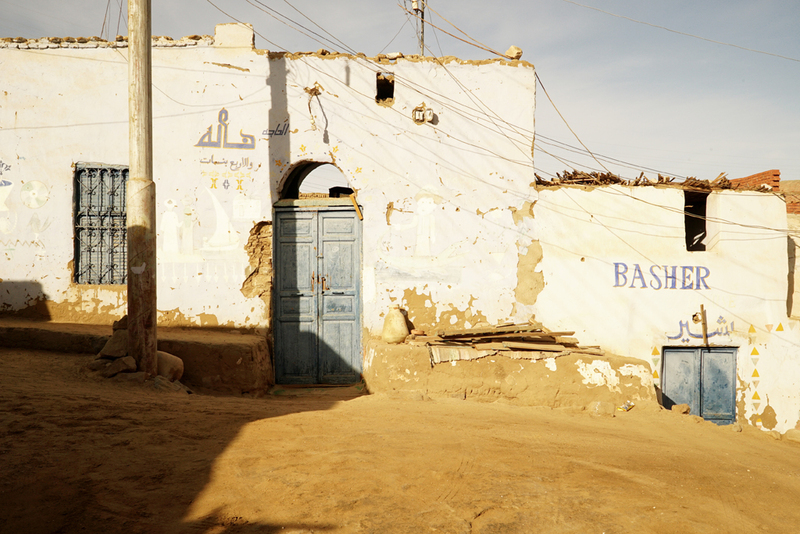 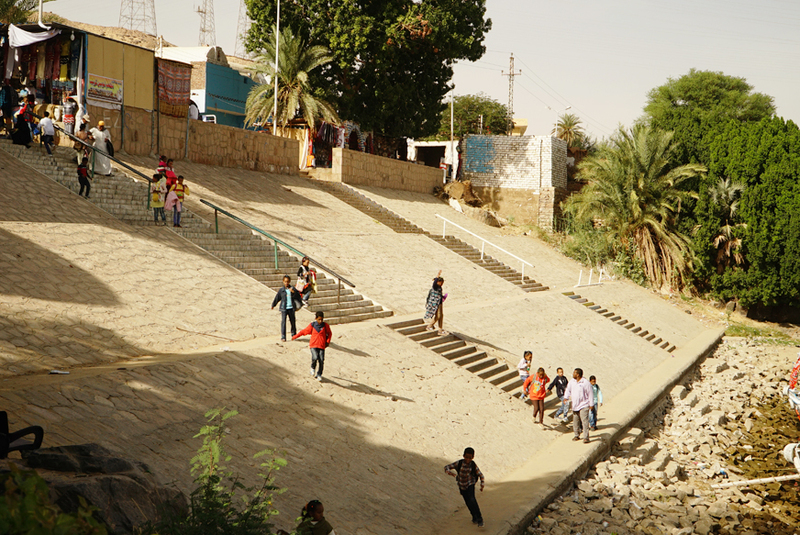 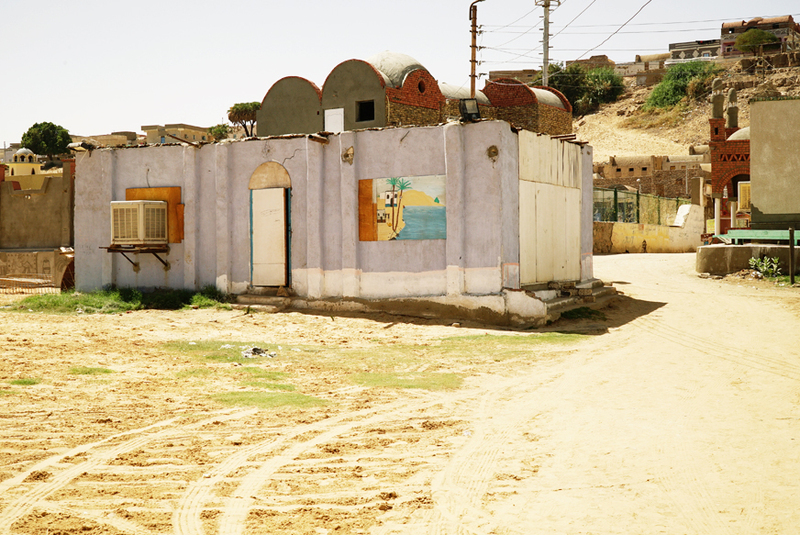 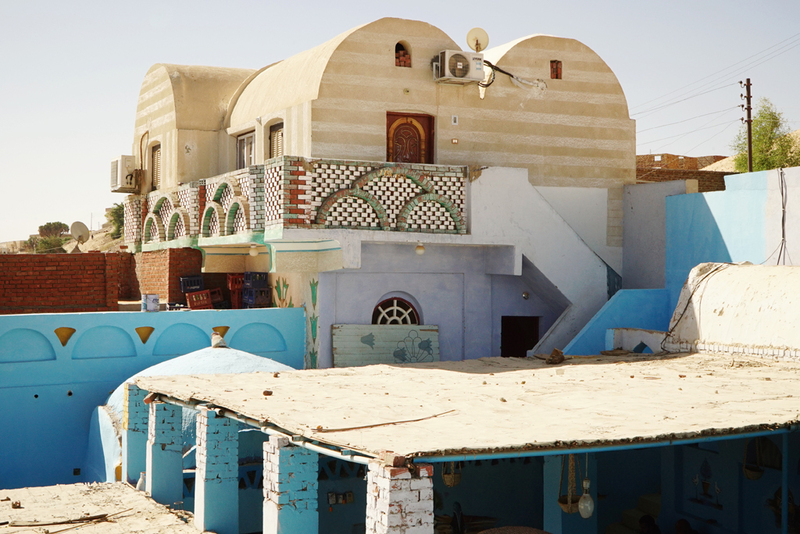 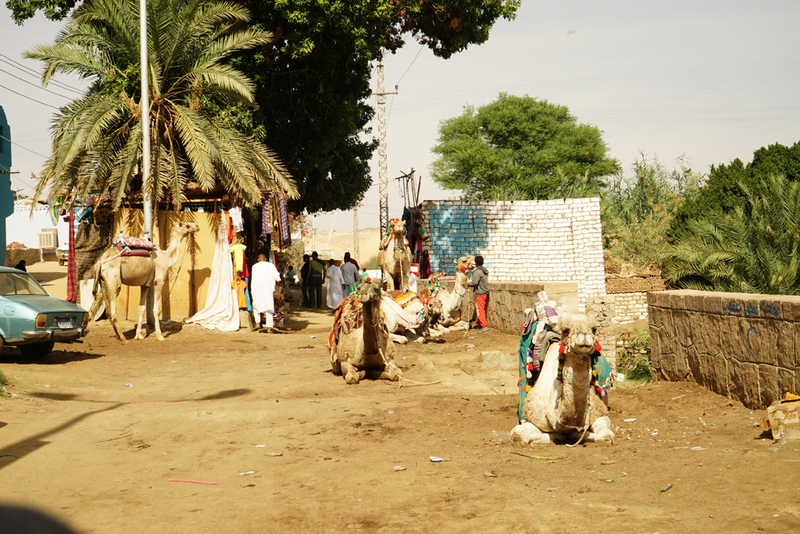 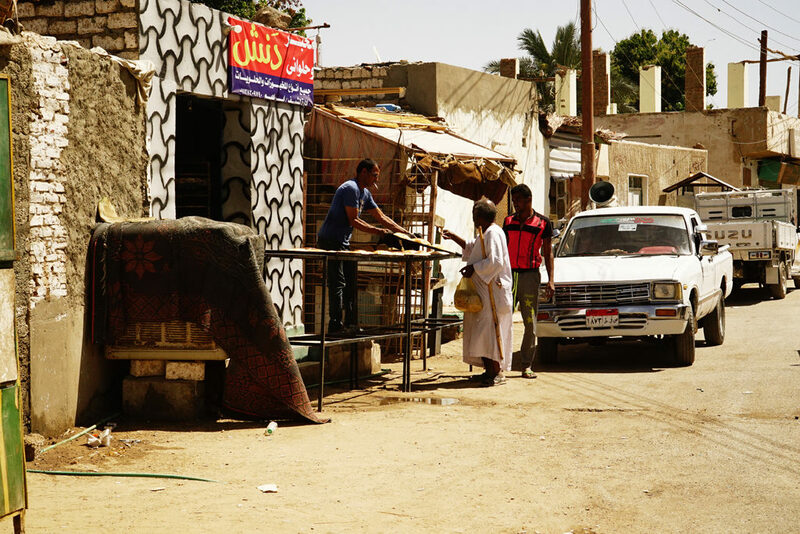 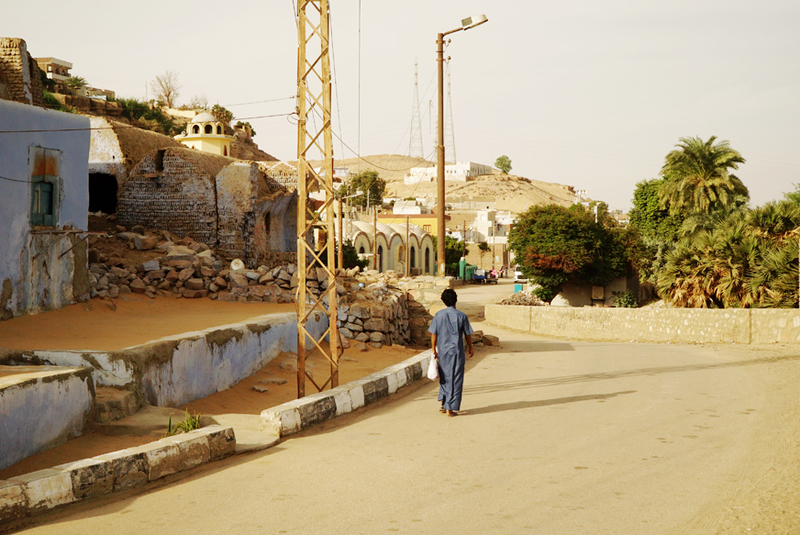 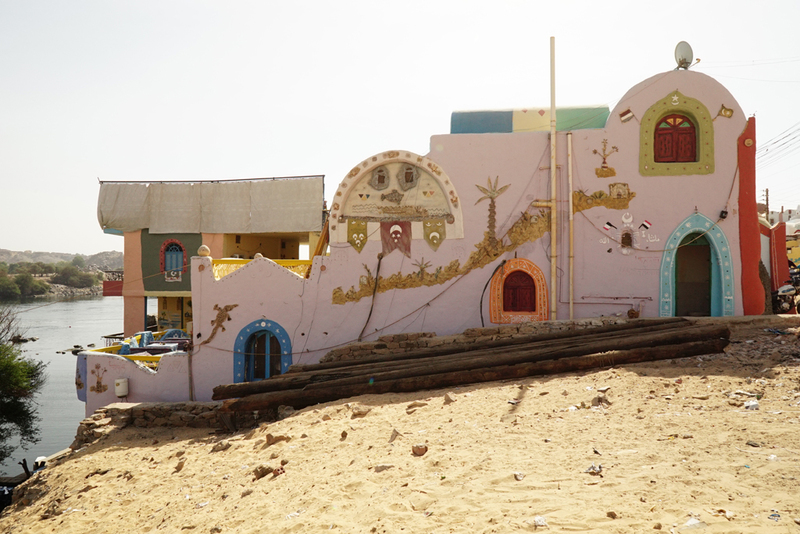 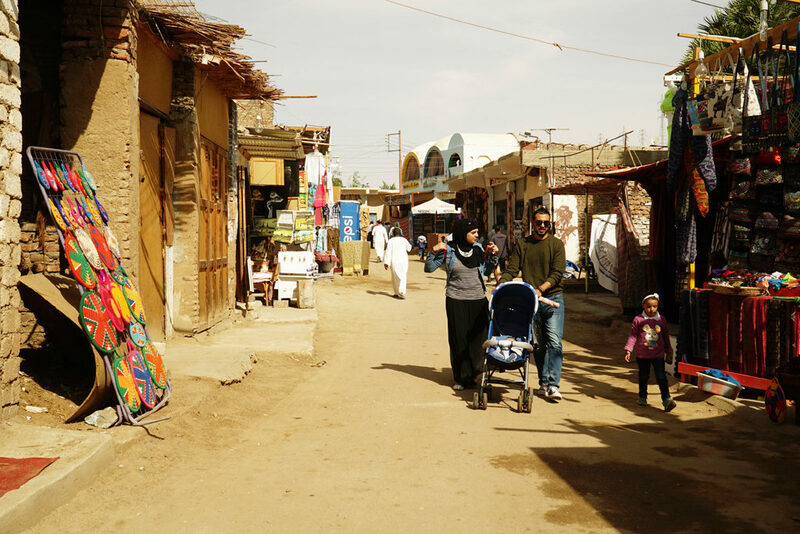 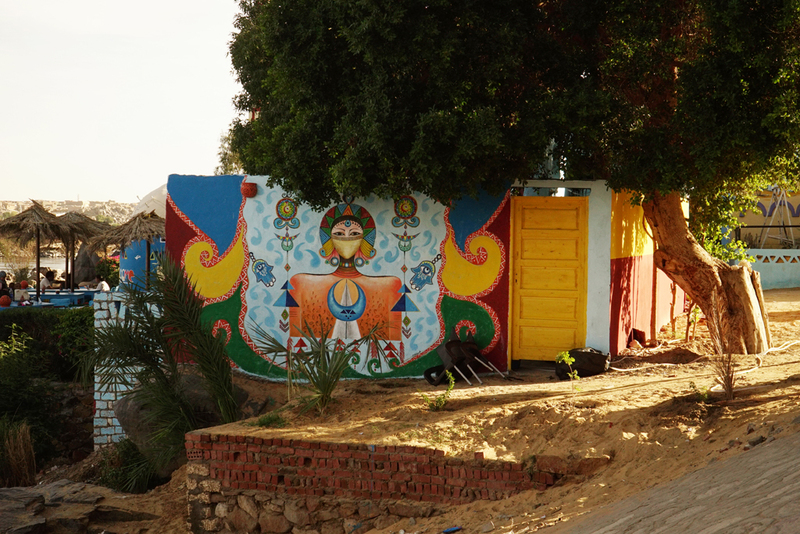 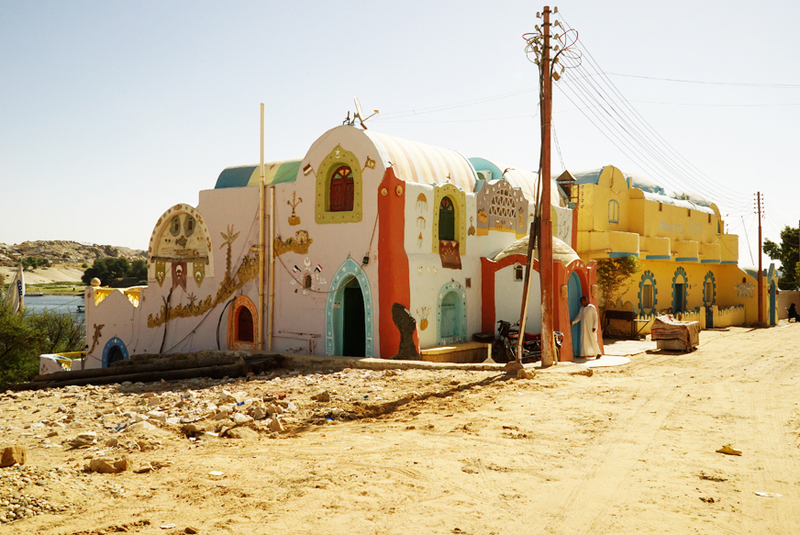 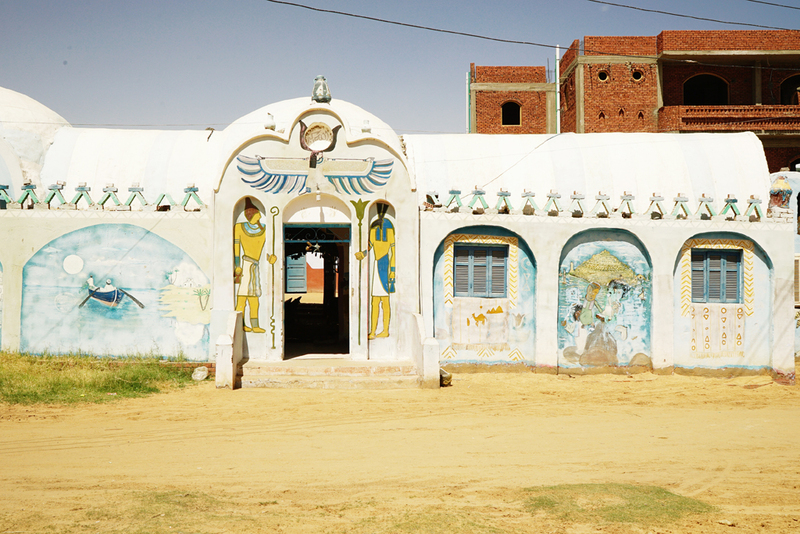 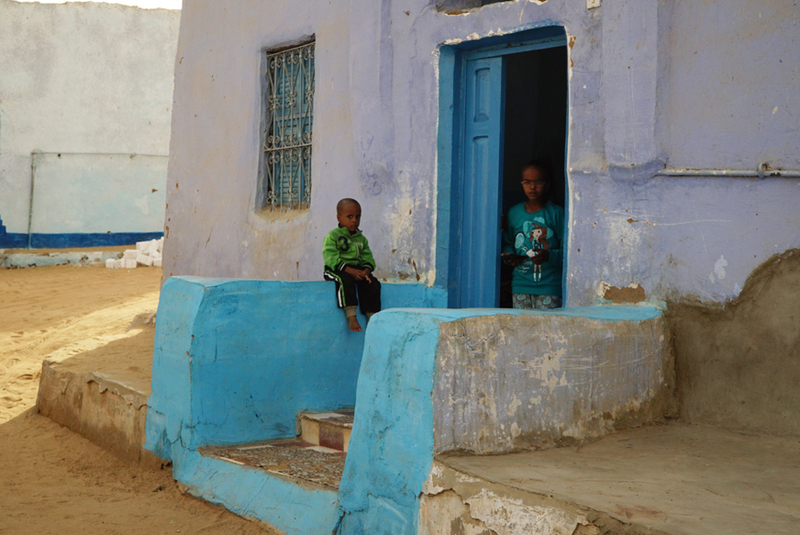 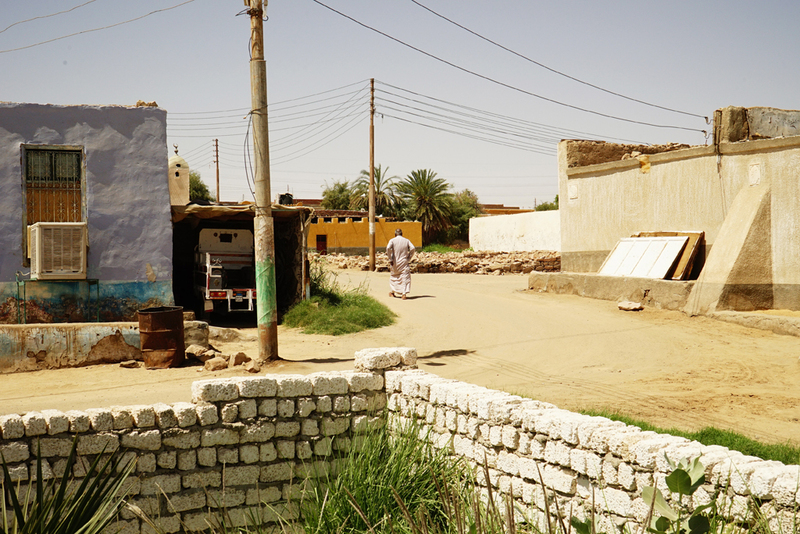 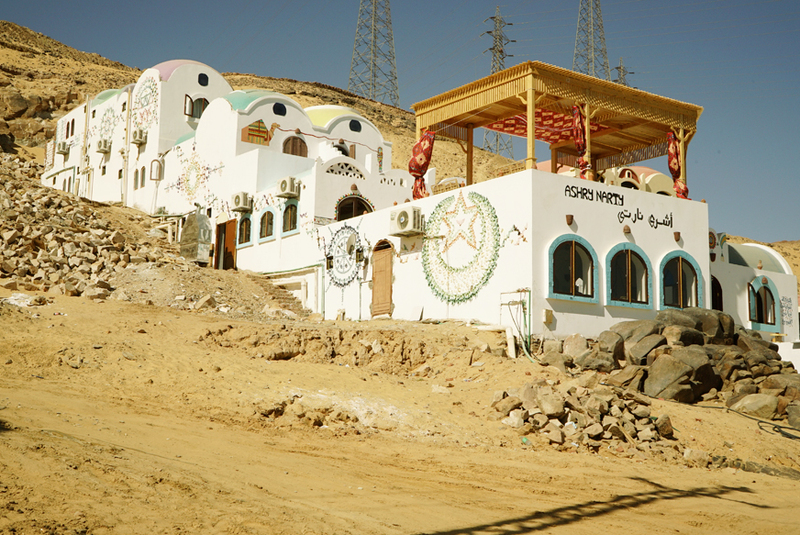 GHARB SOHEIL: RELOCATED NUBIAN VILLAGE. 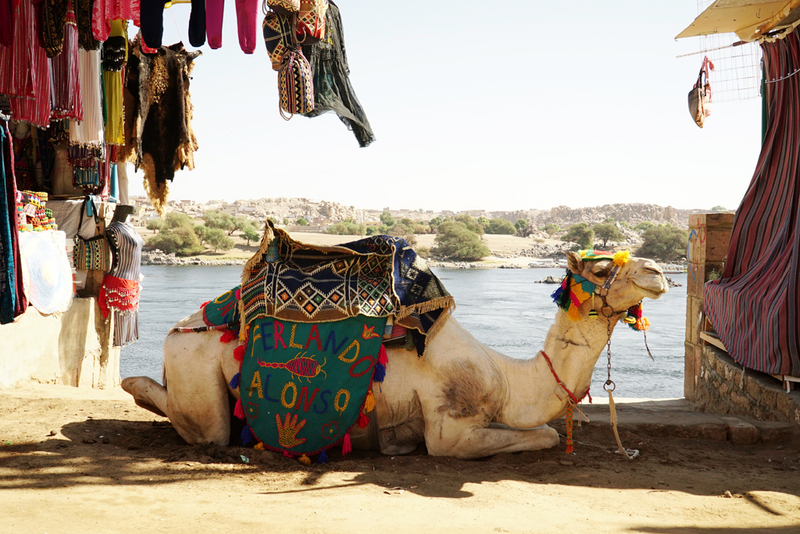 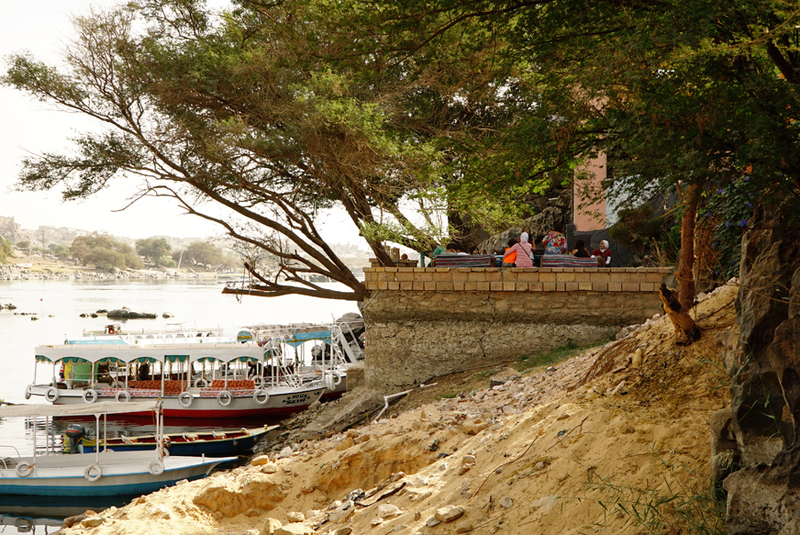 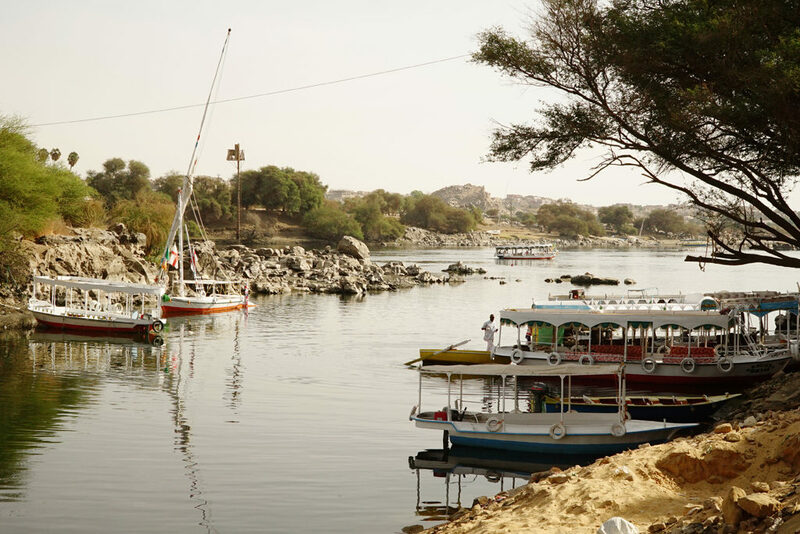 Aswan, Egypt. 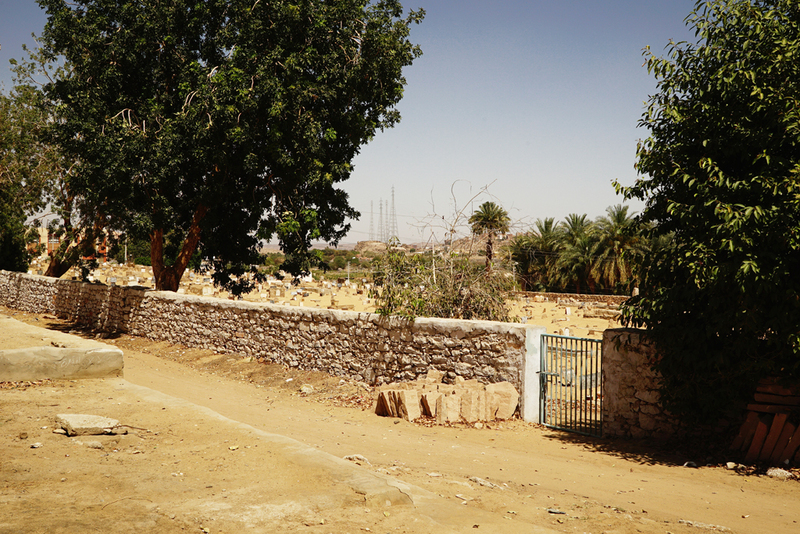 Feb. – May, 2018. 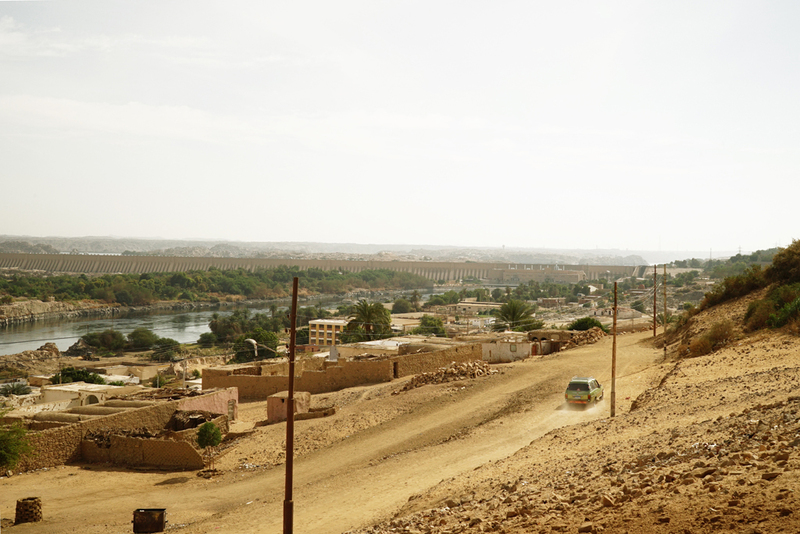 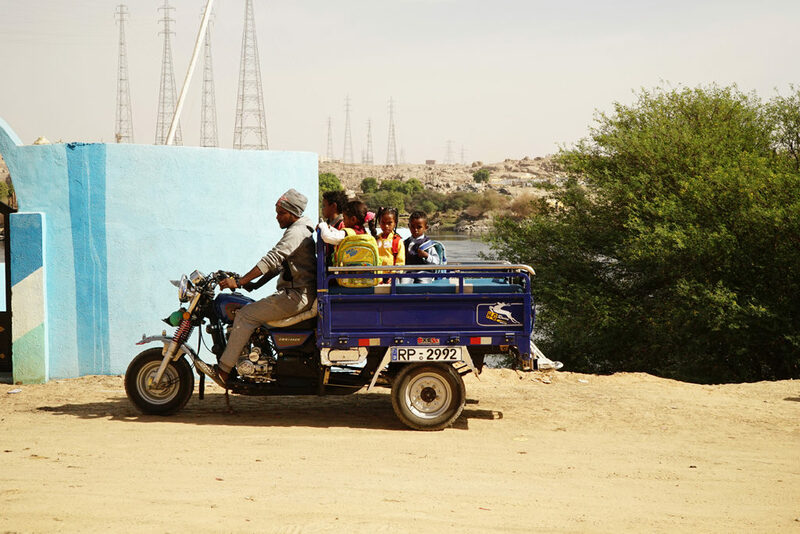 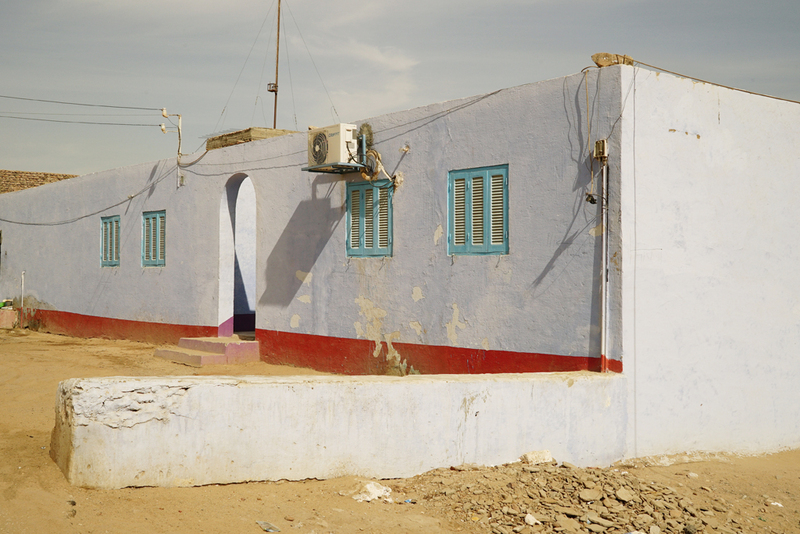 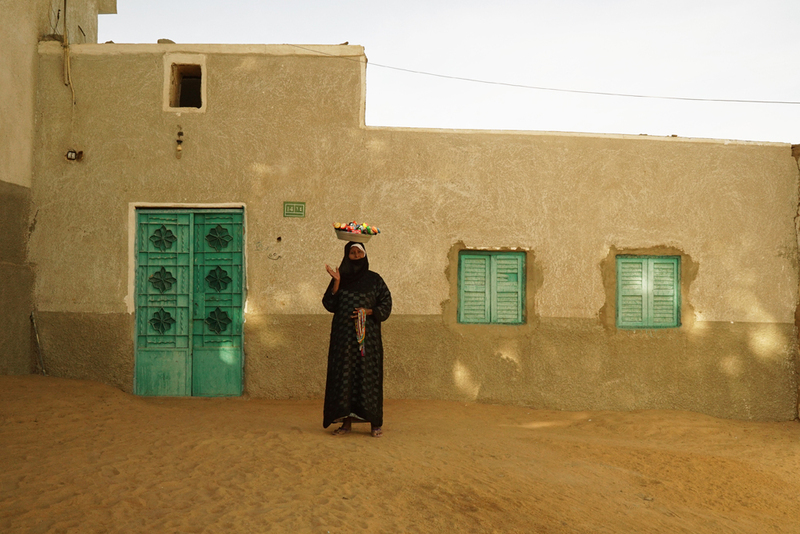 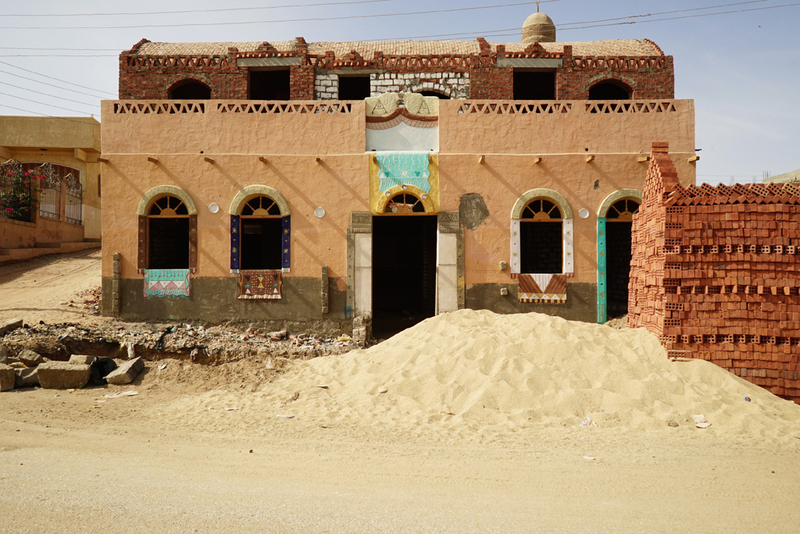 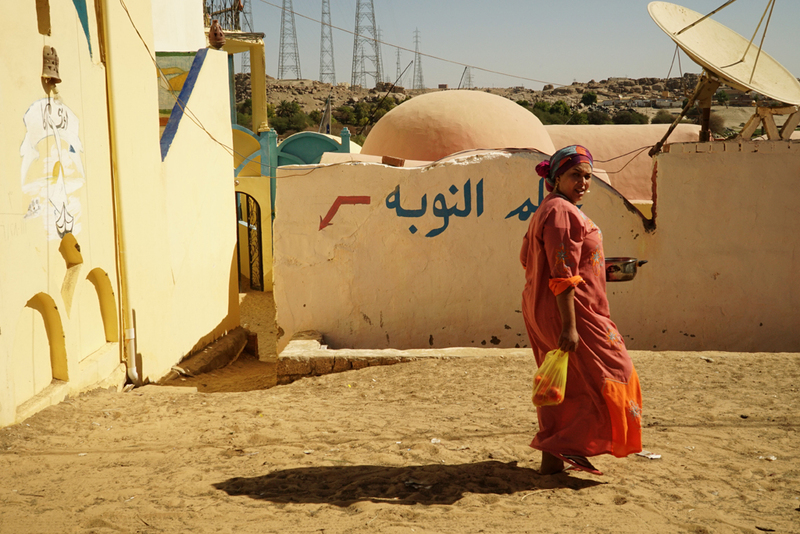 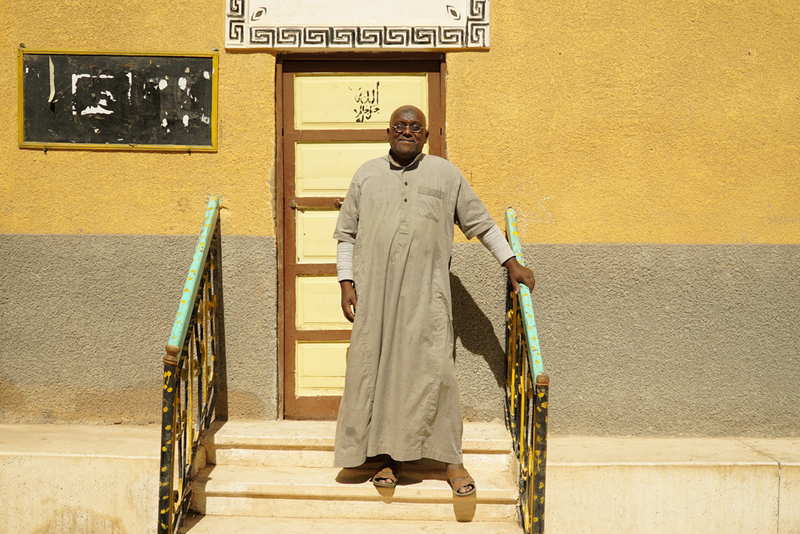 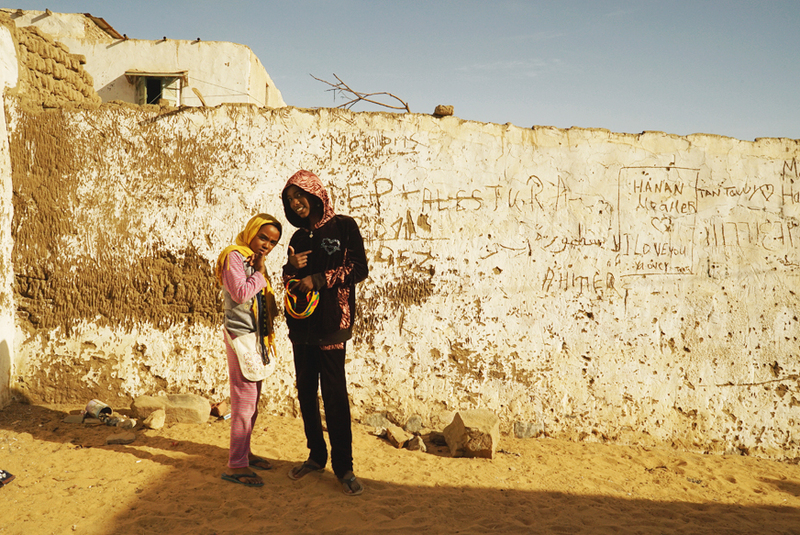 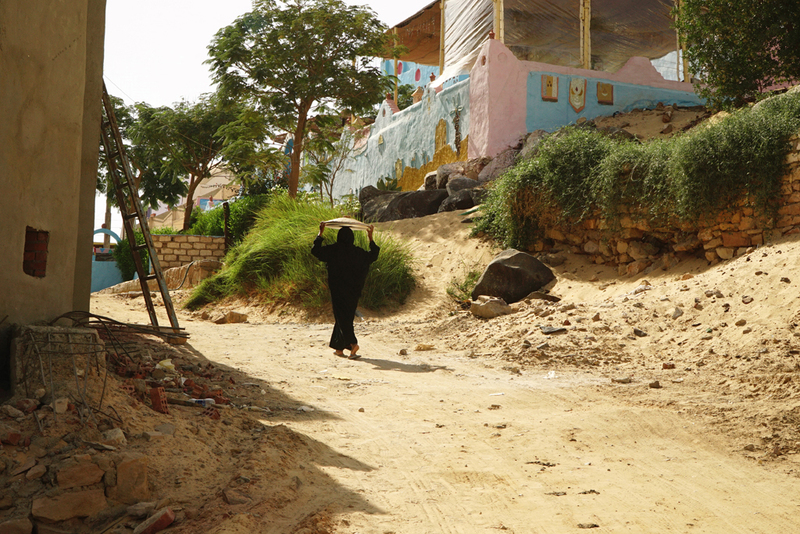 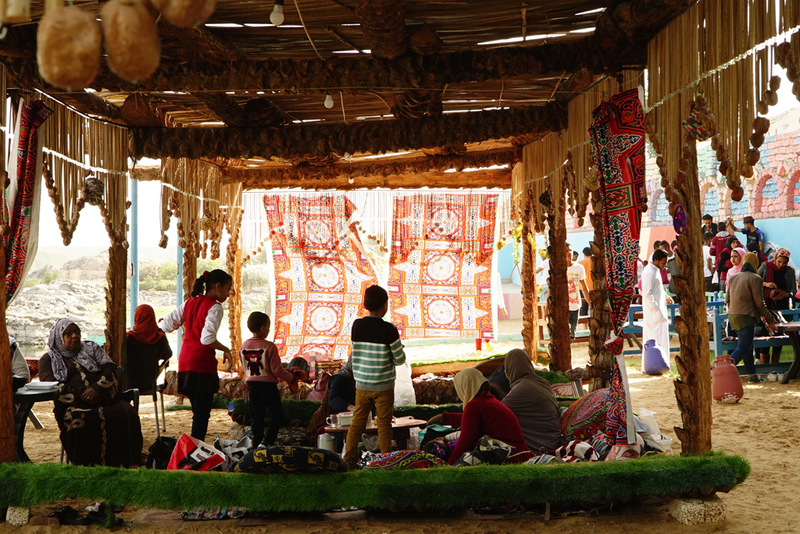 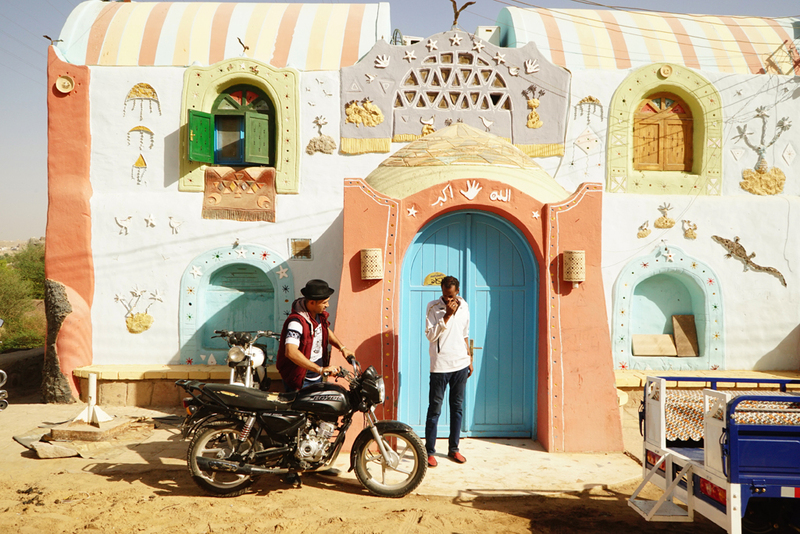 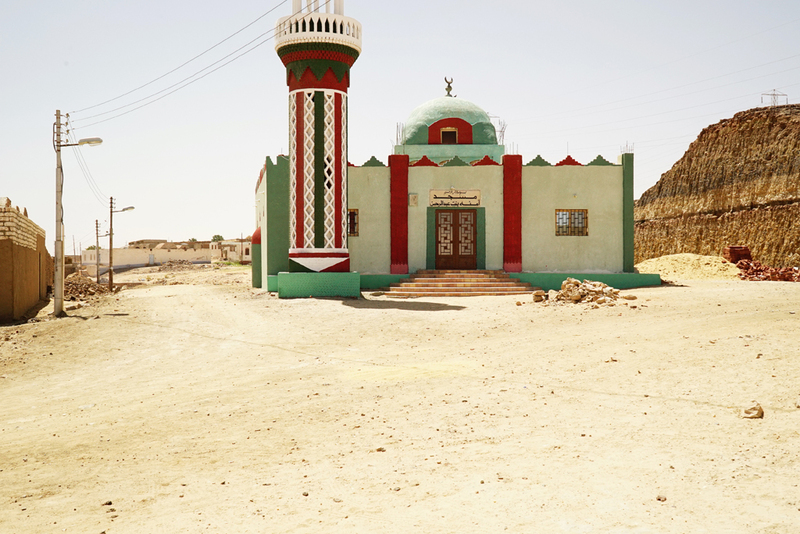 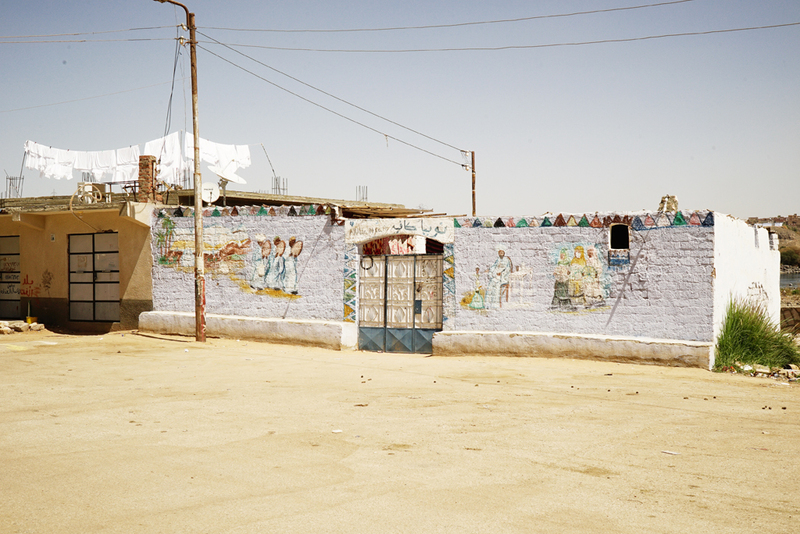 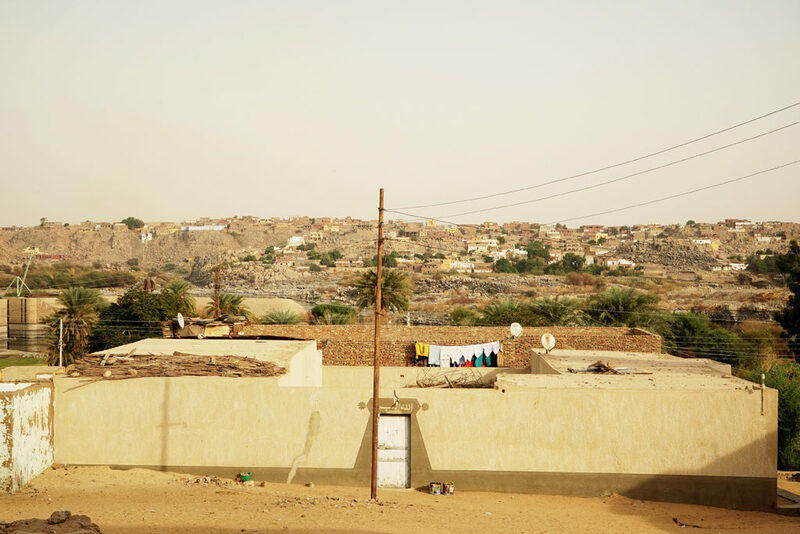 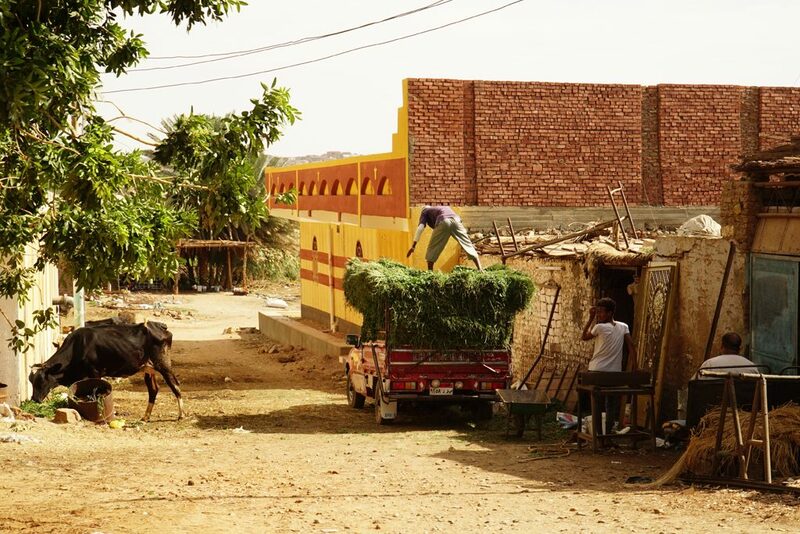 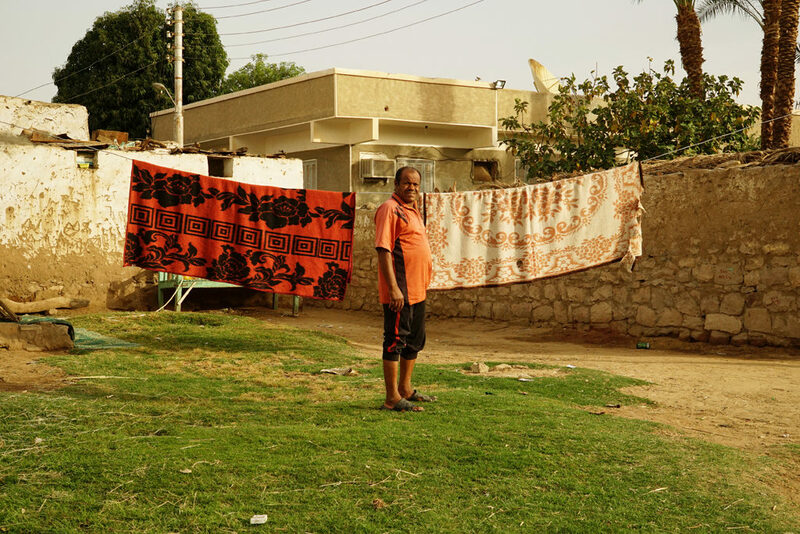 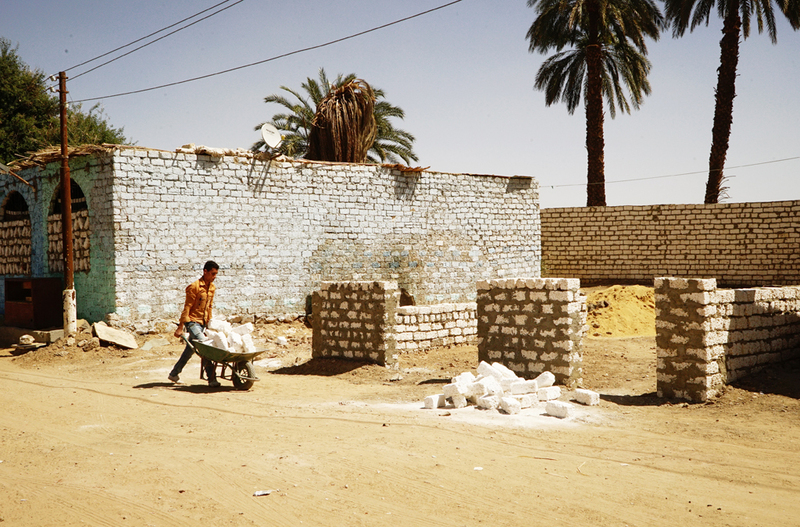 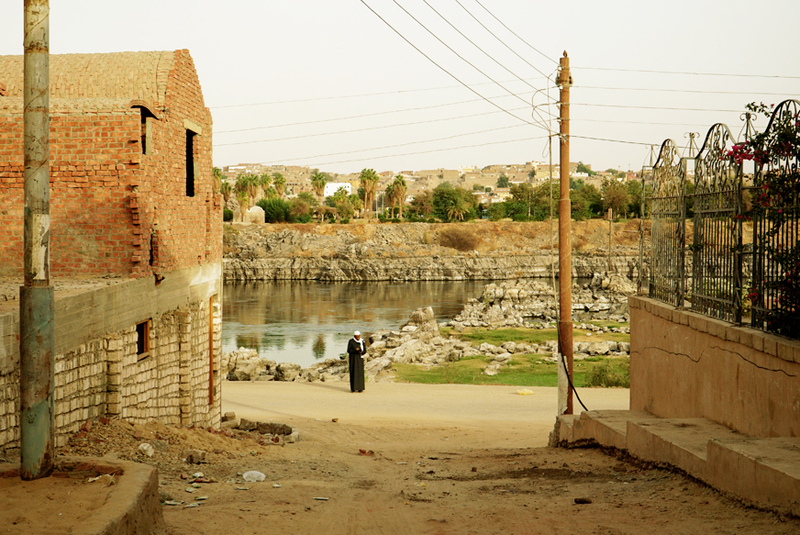 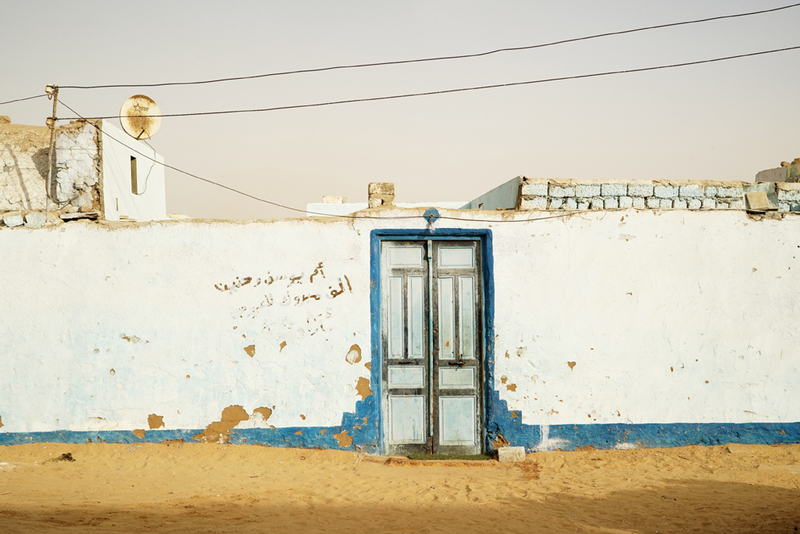 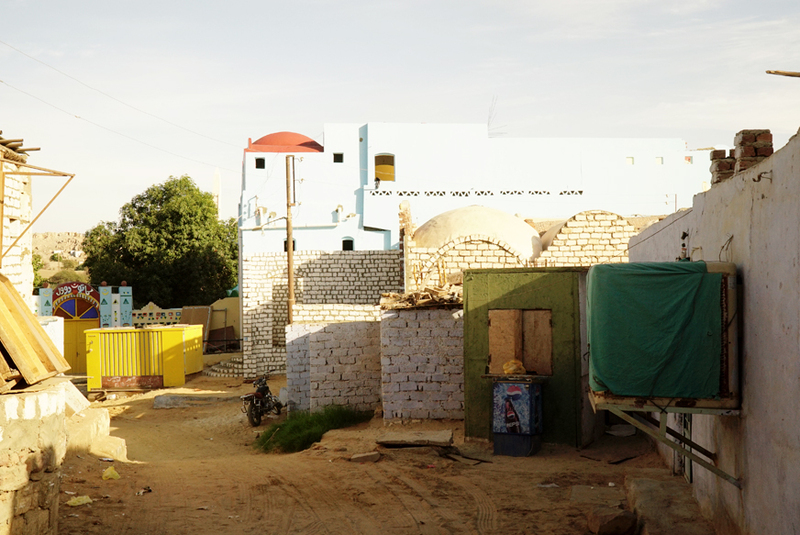 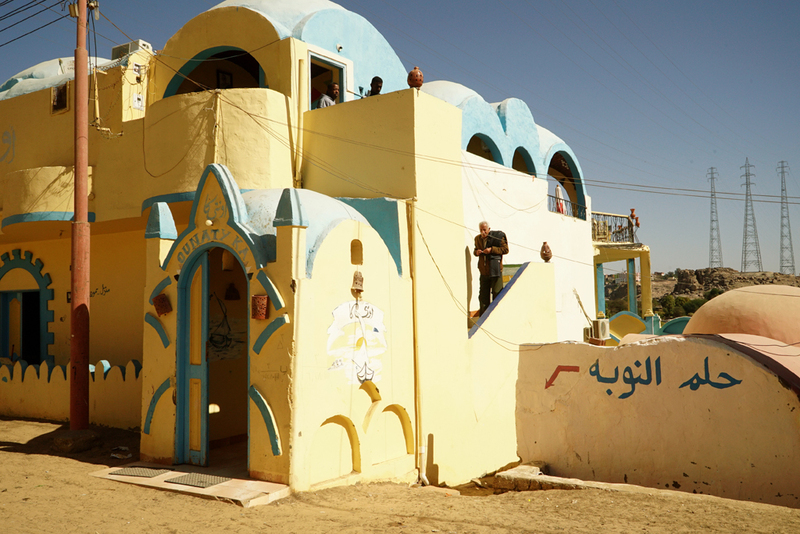 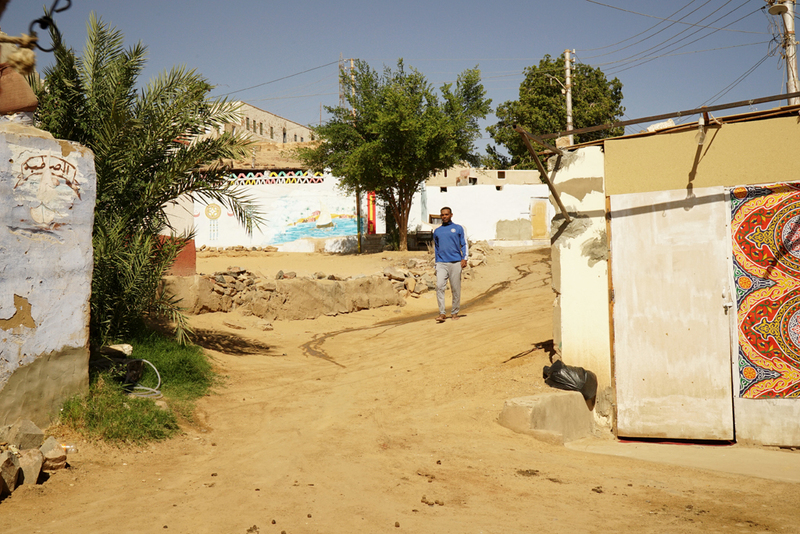 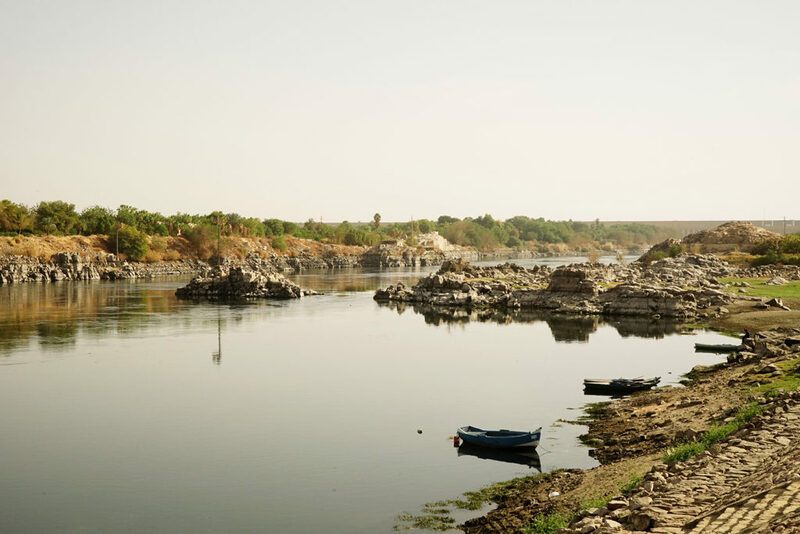 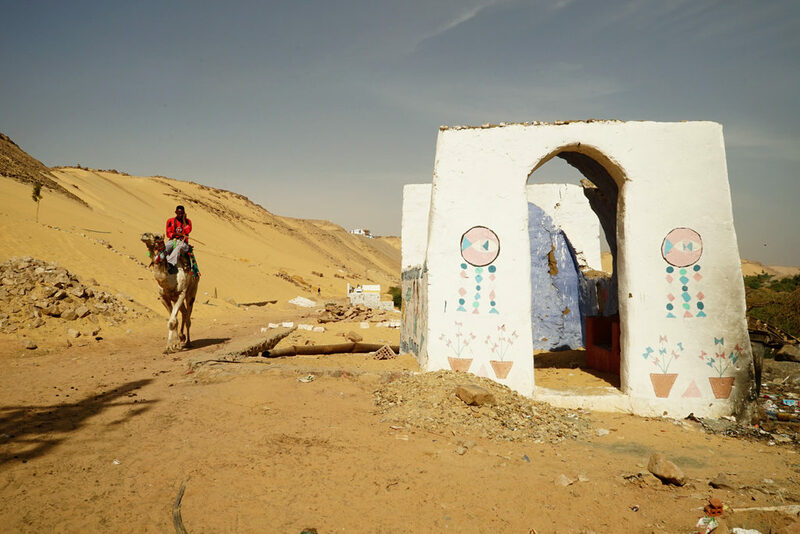 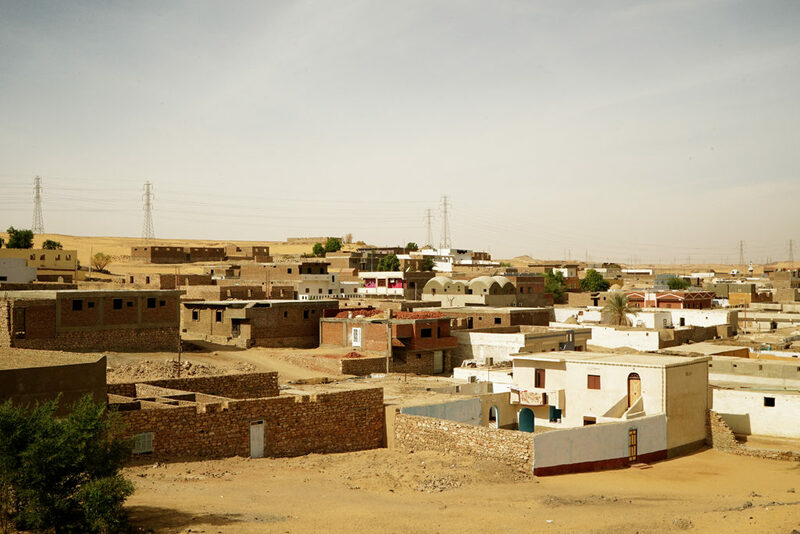 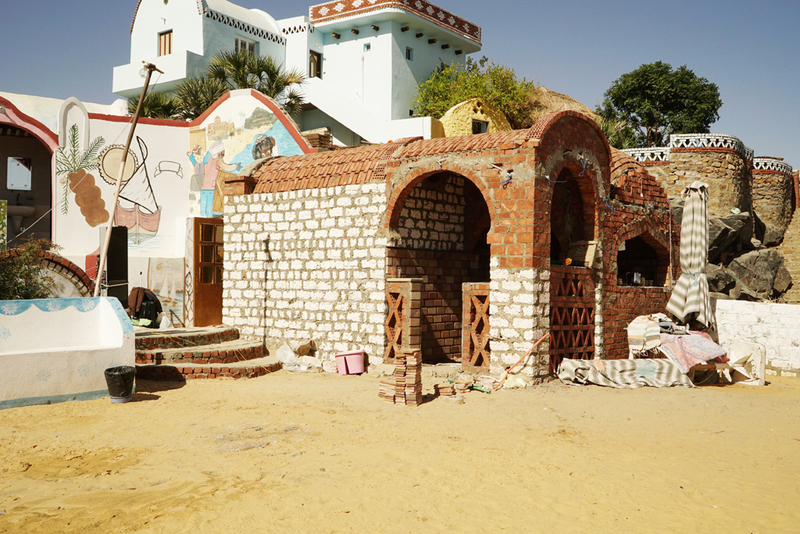 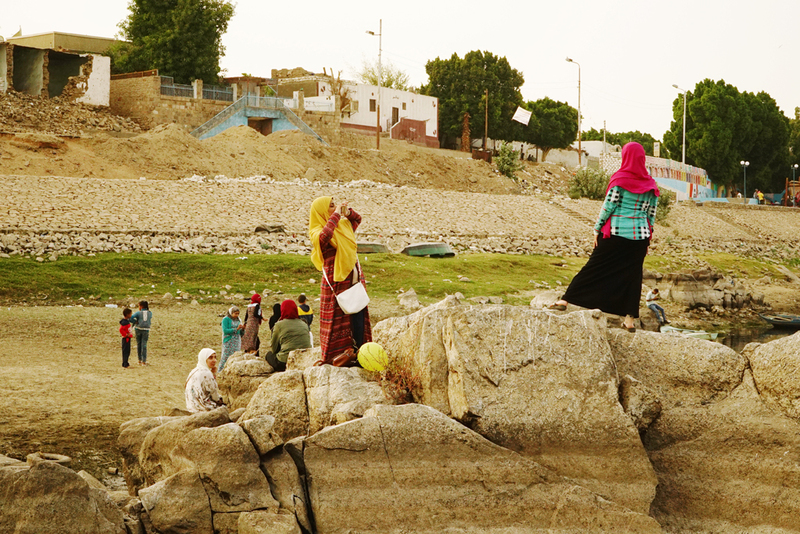 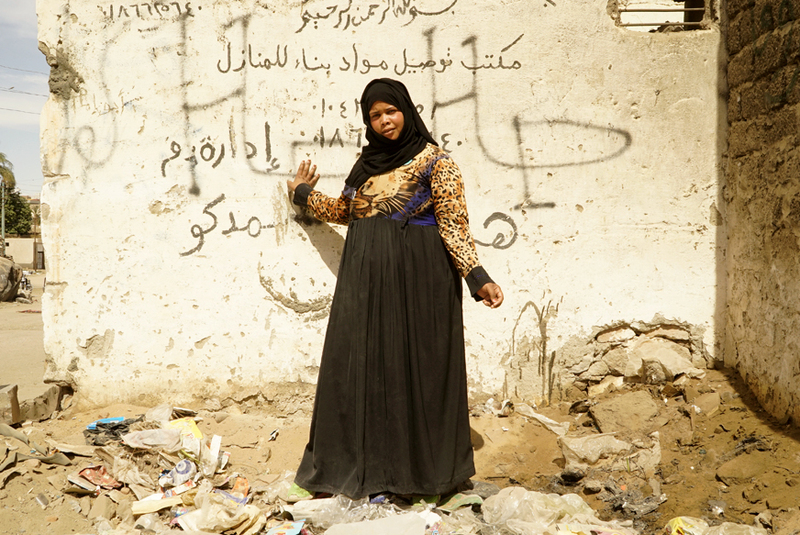 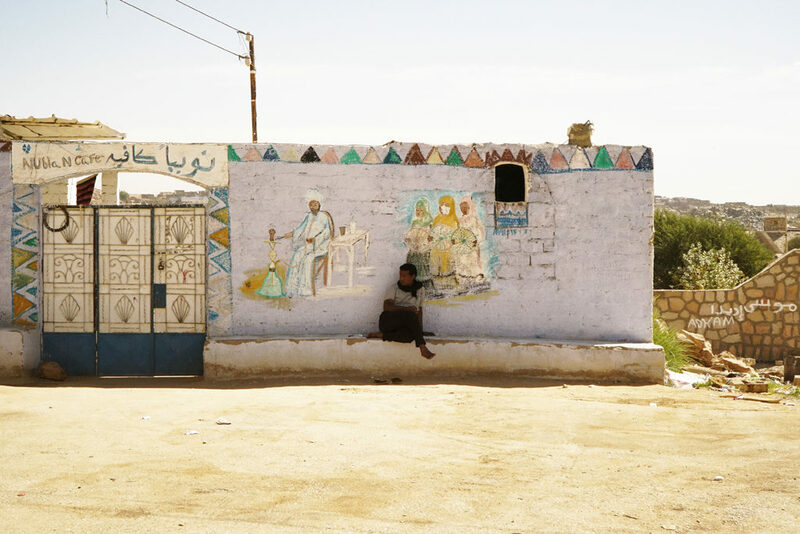 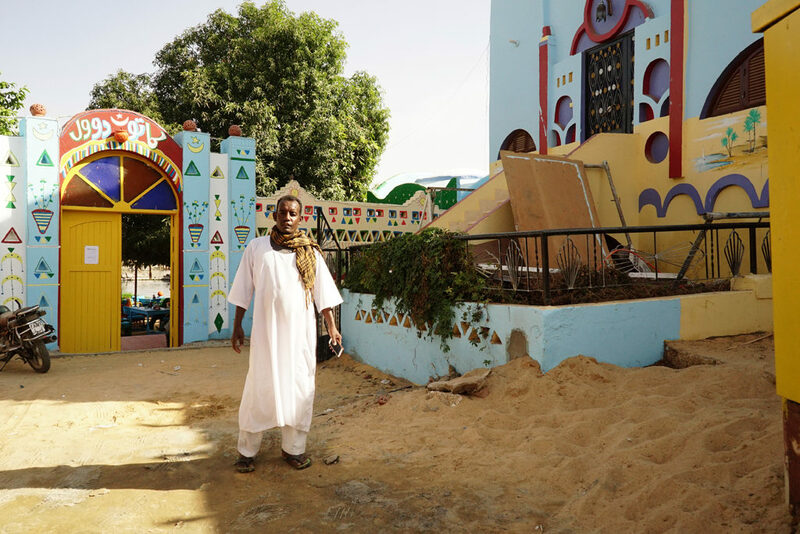 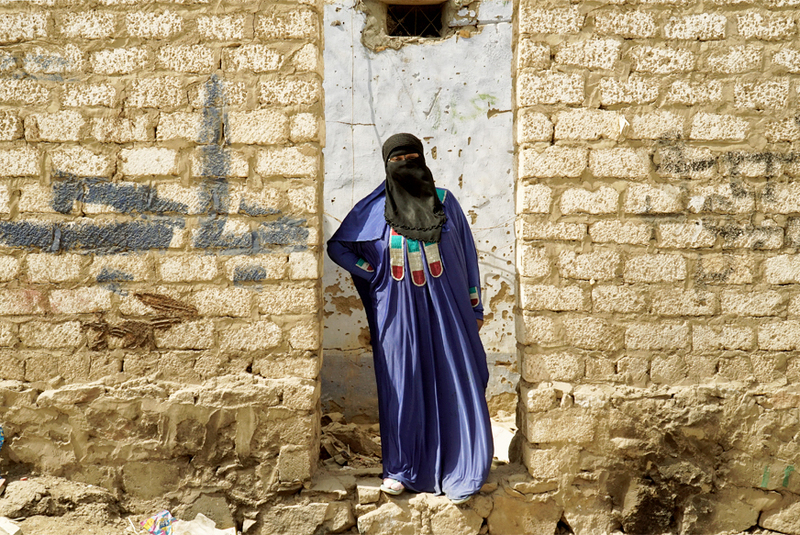 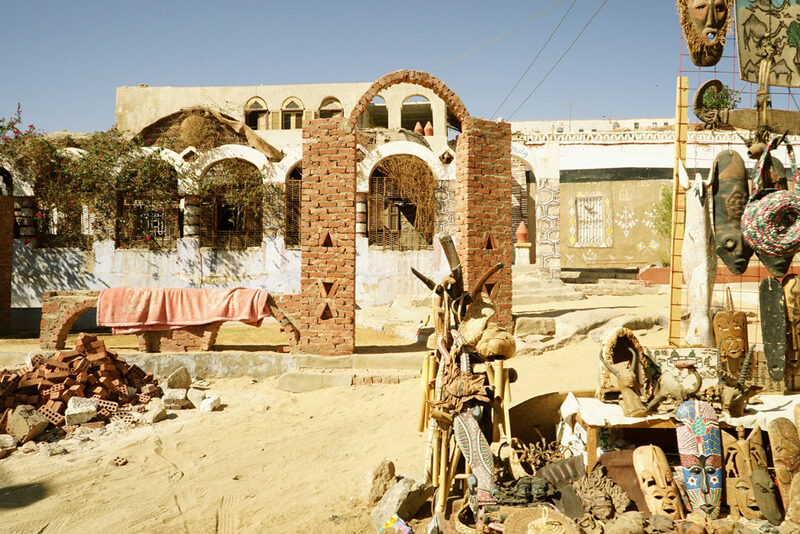 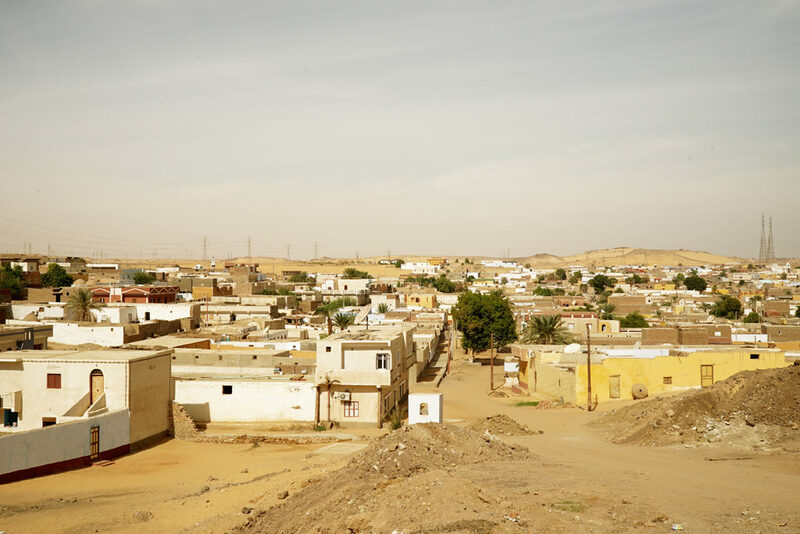 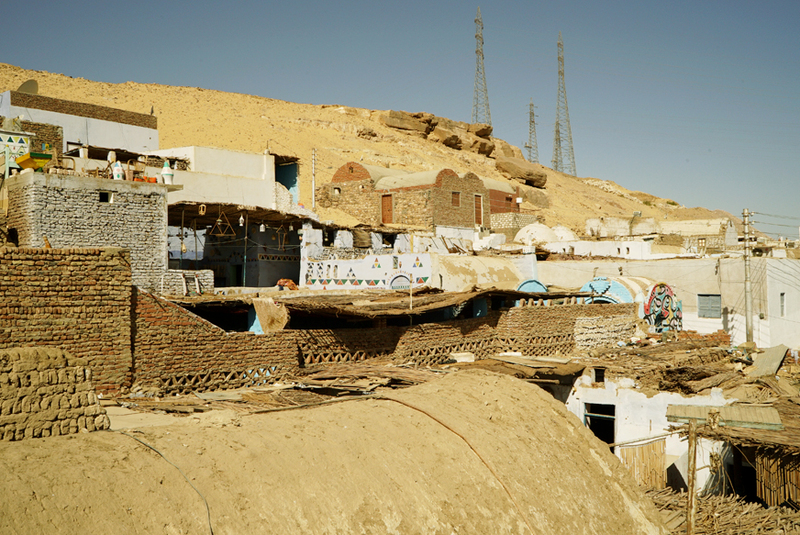 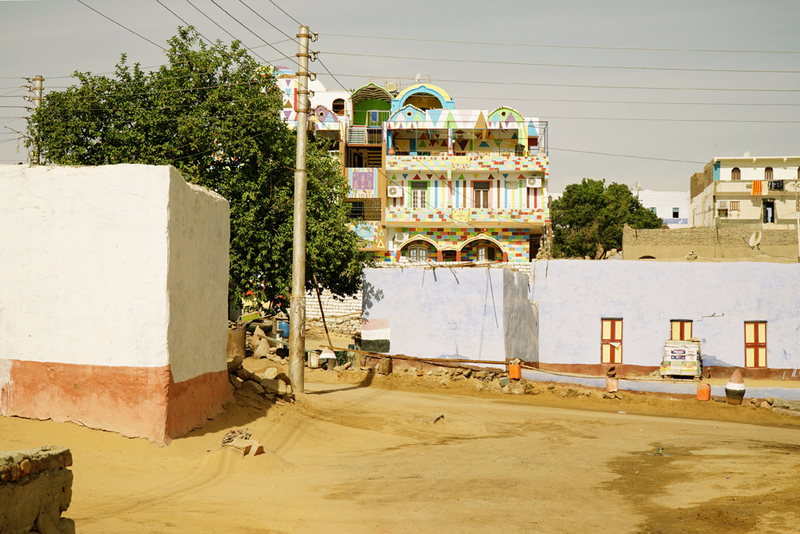 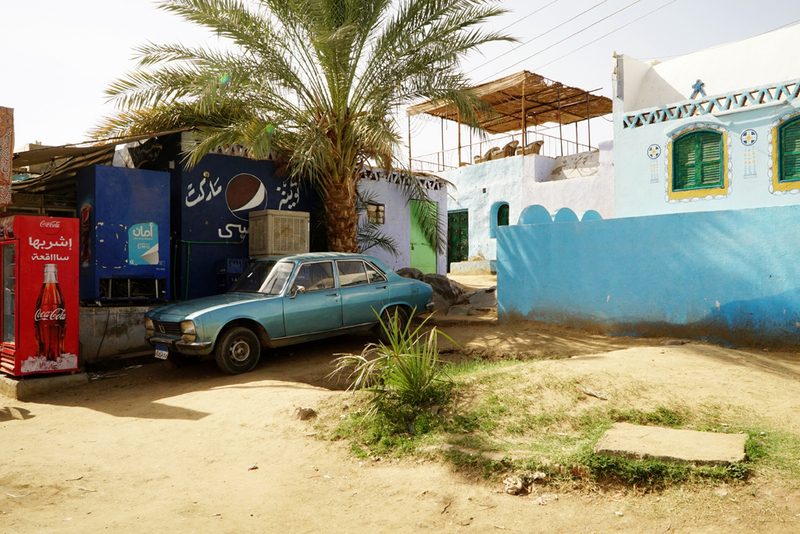 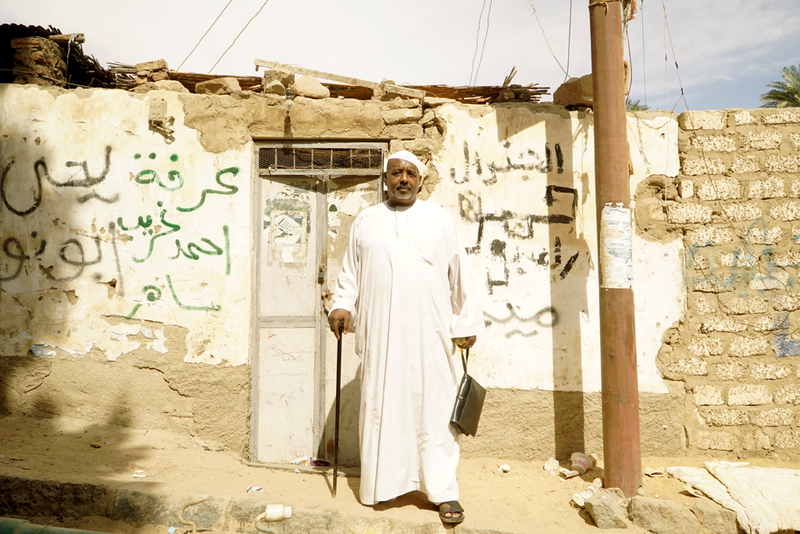 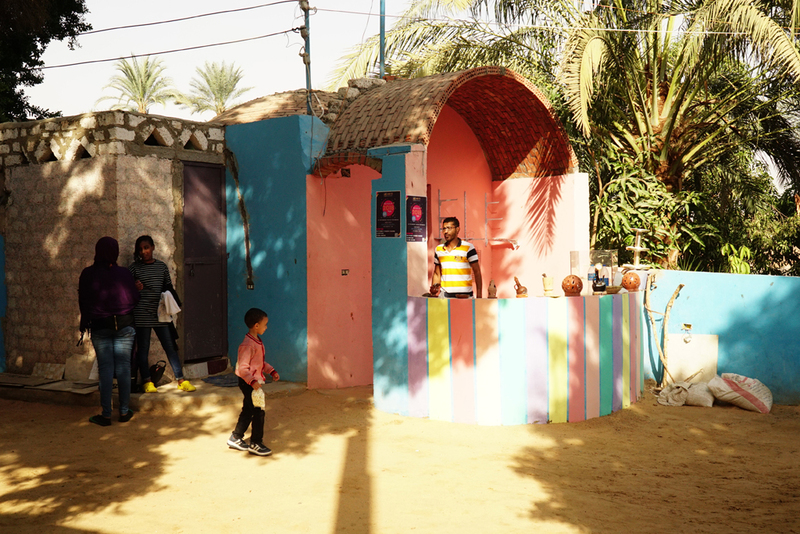 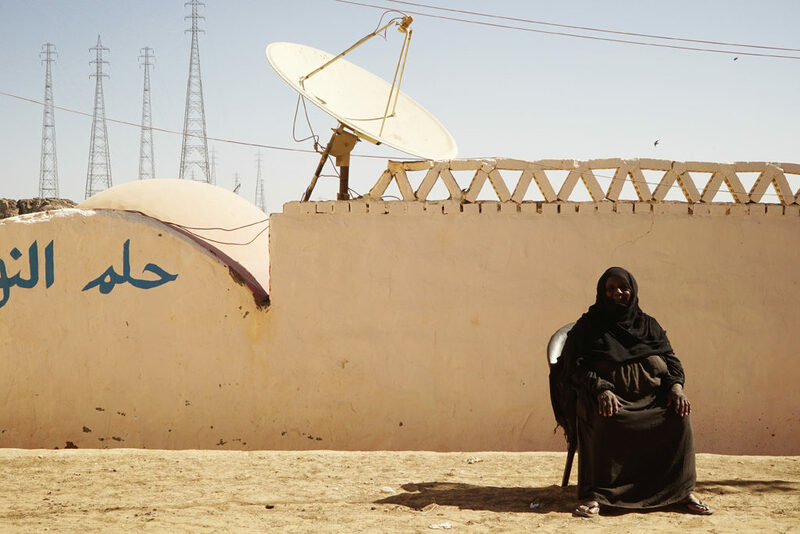 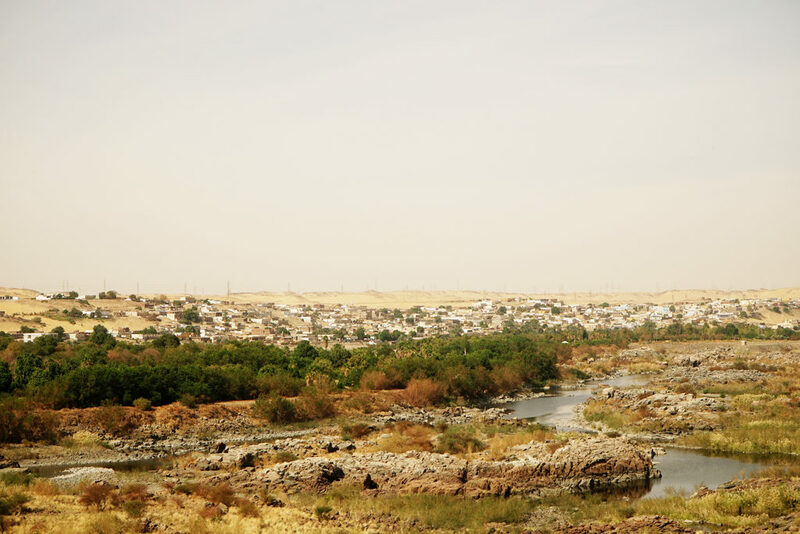 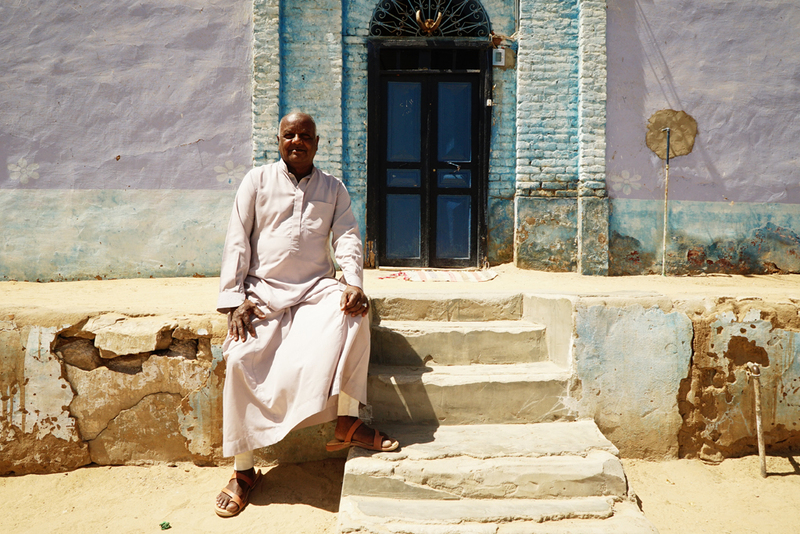 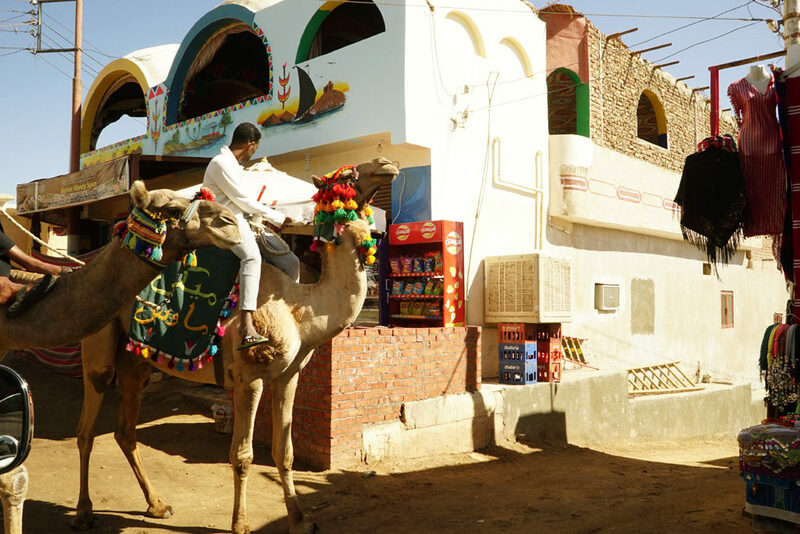 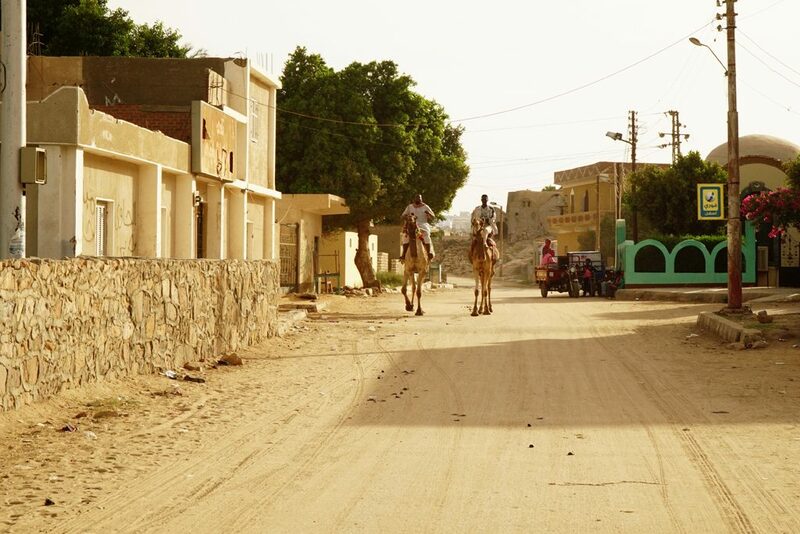 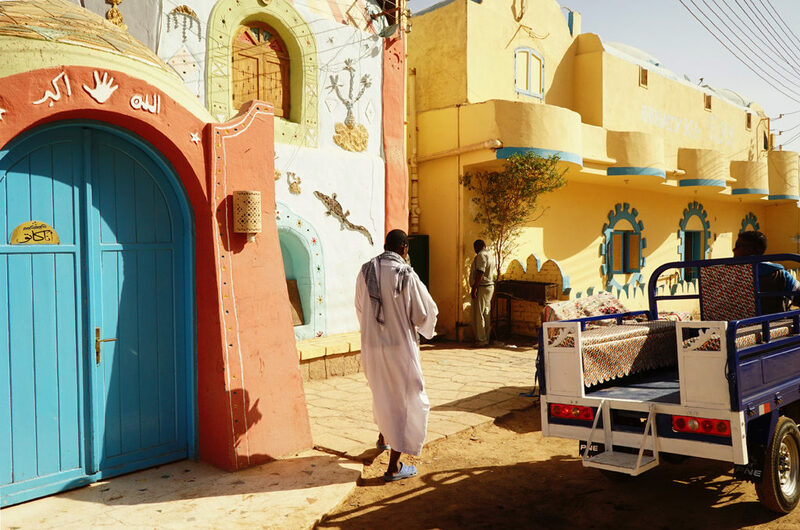 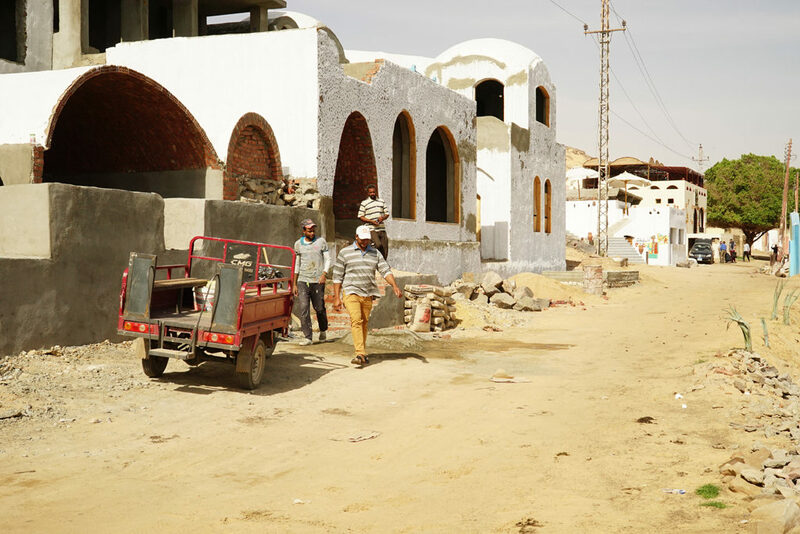 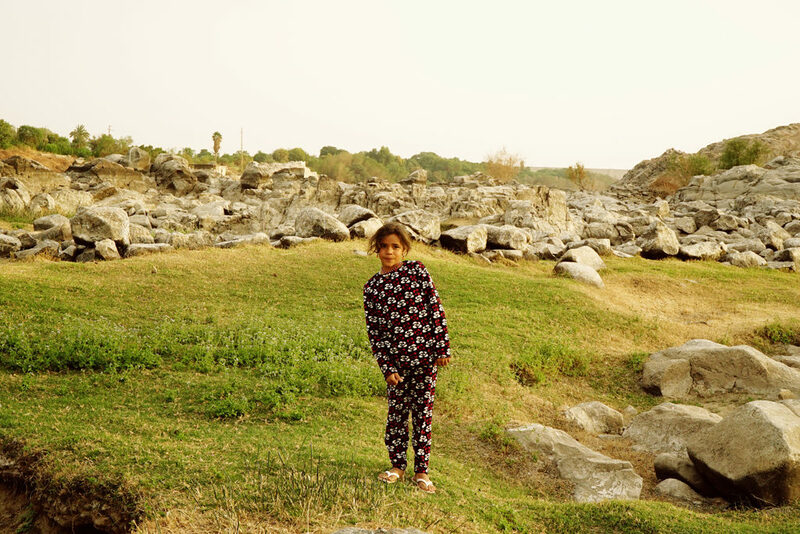 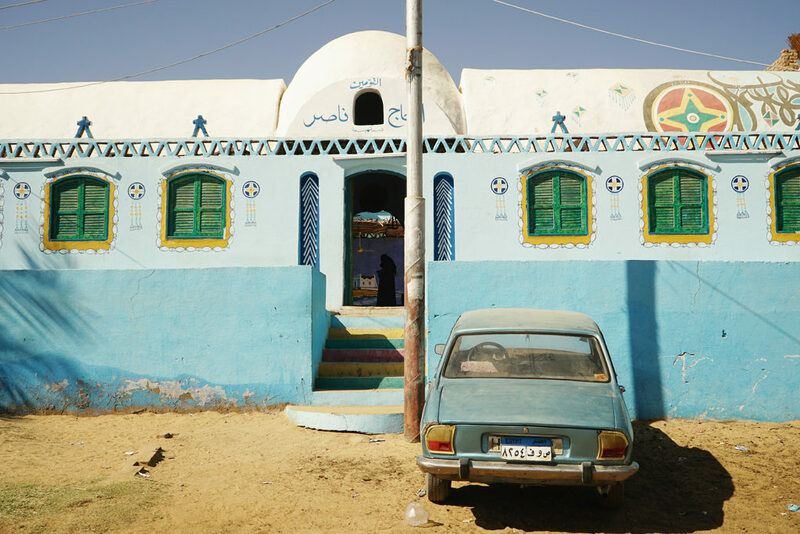 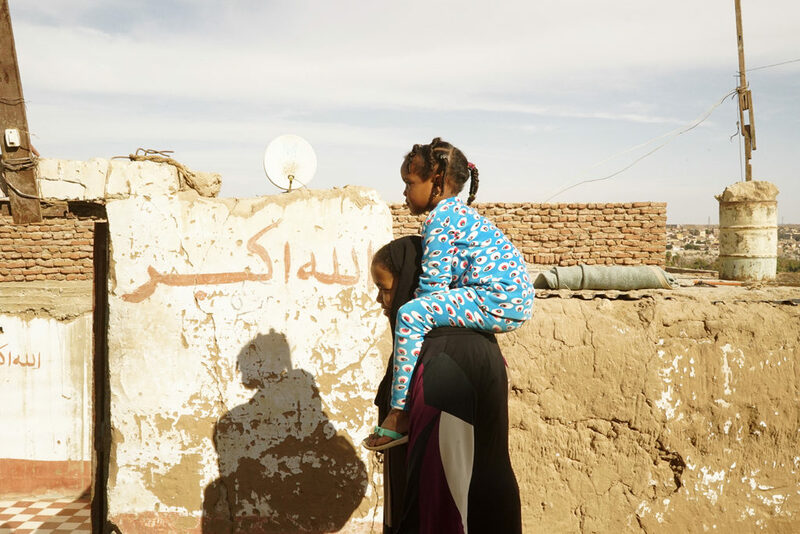 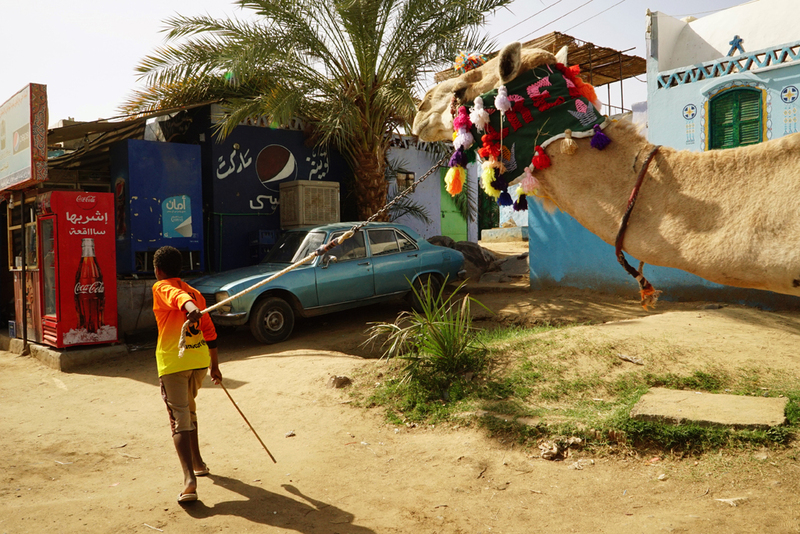 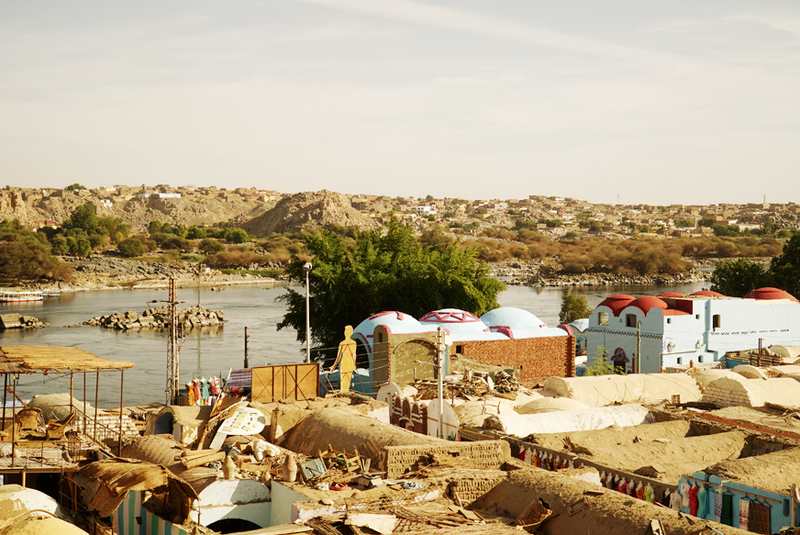 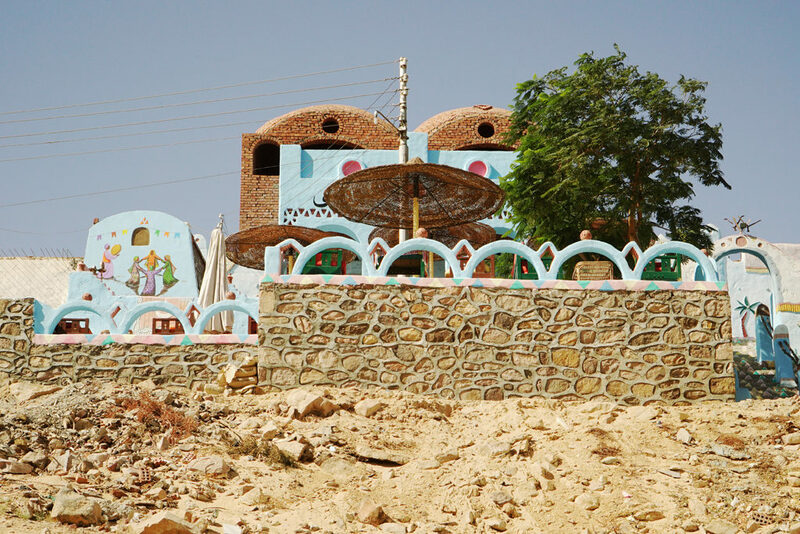 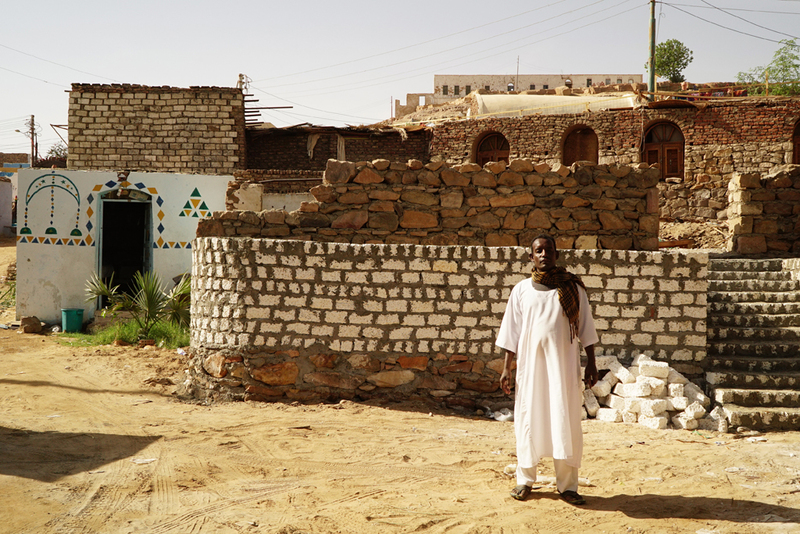 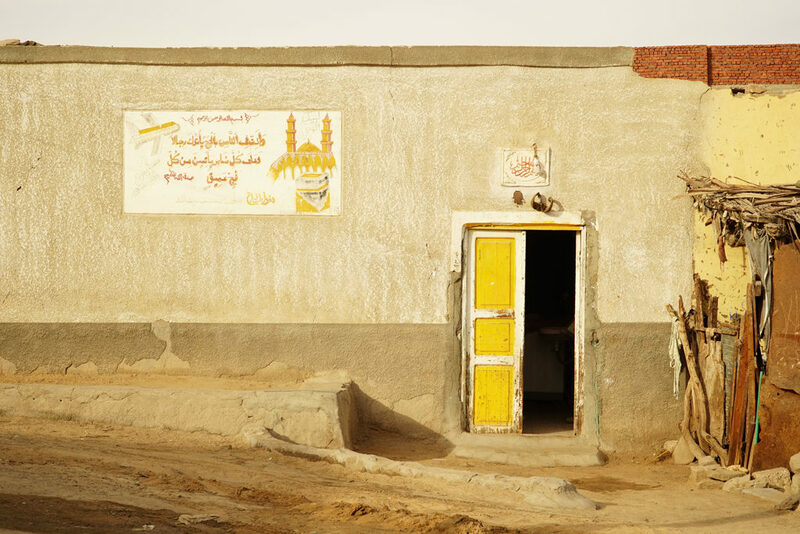 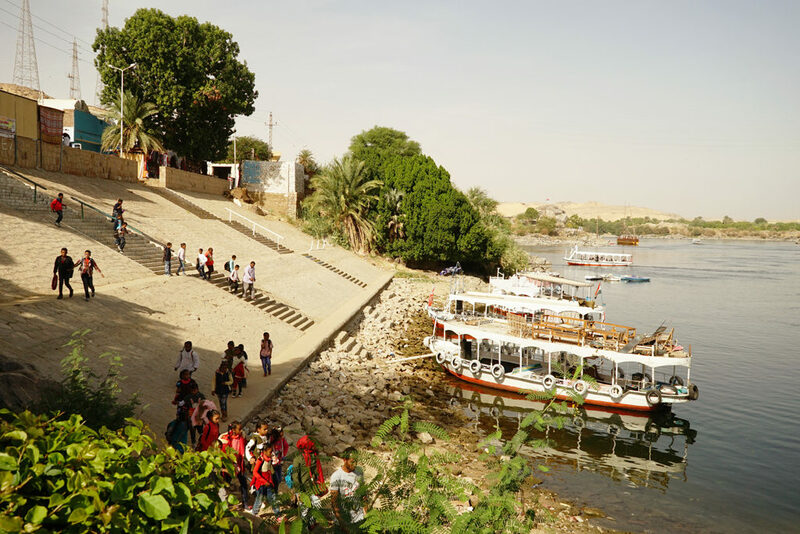 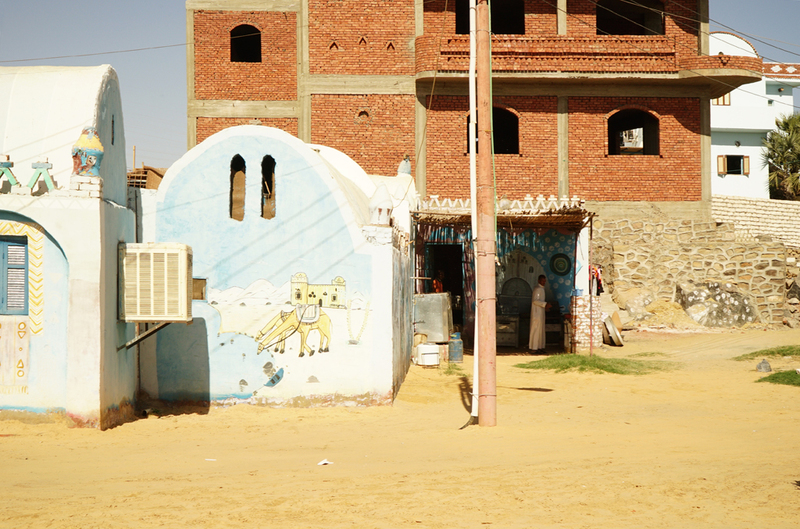 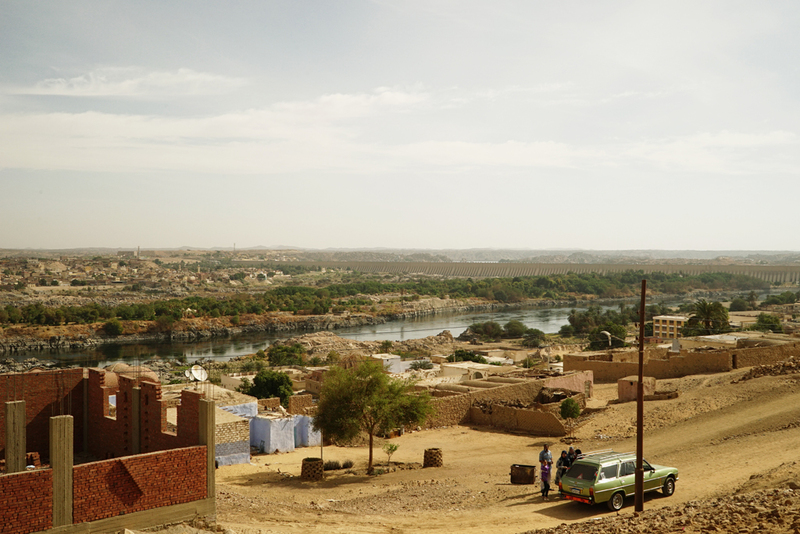 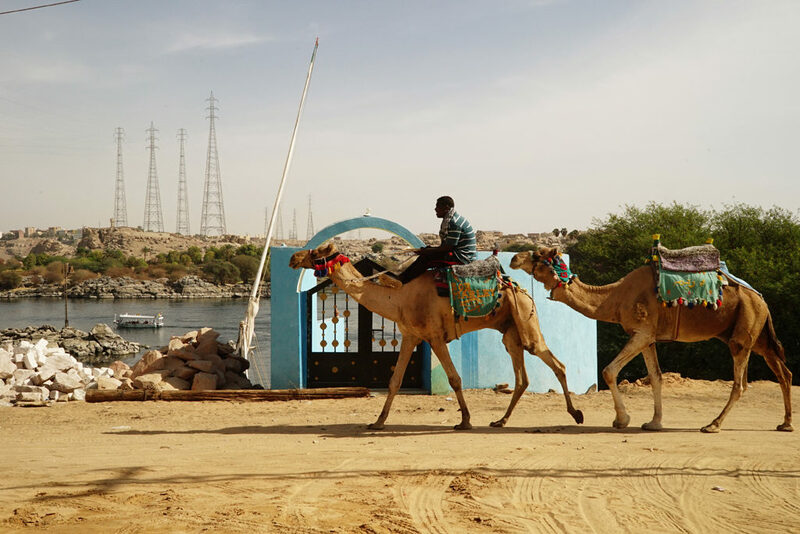 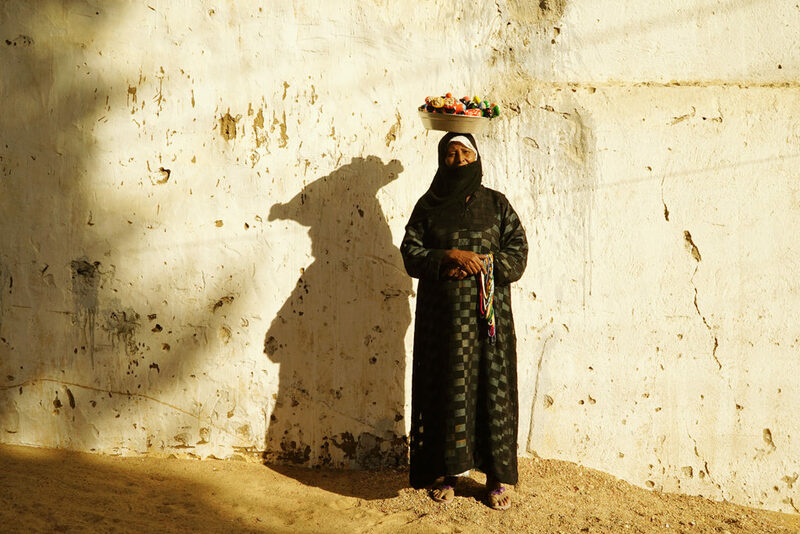 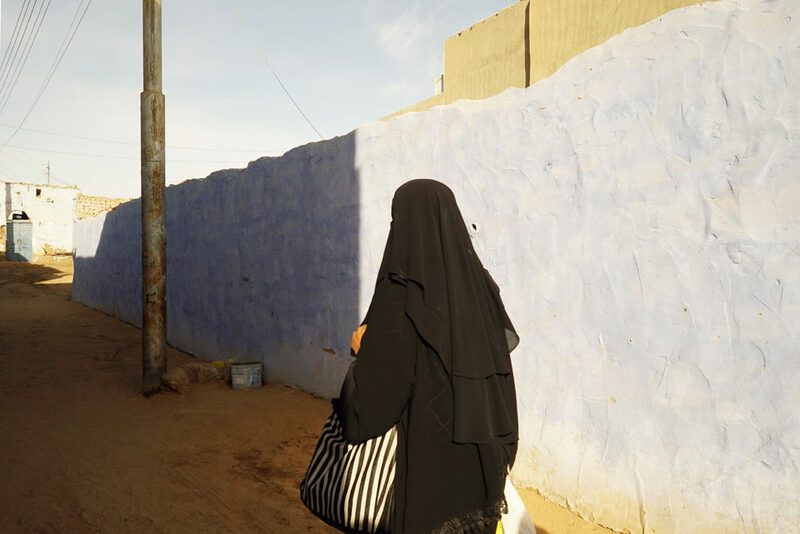 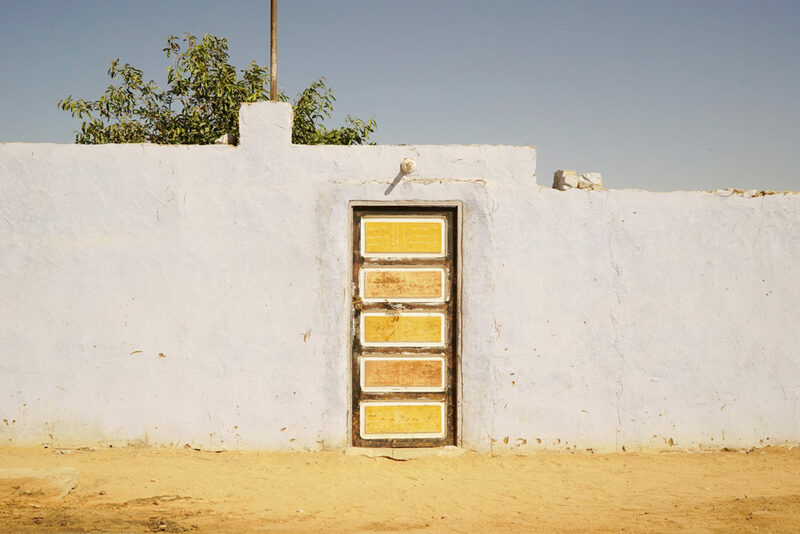 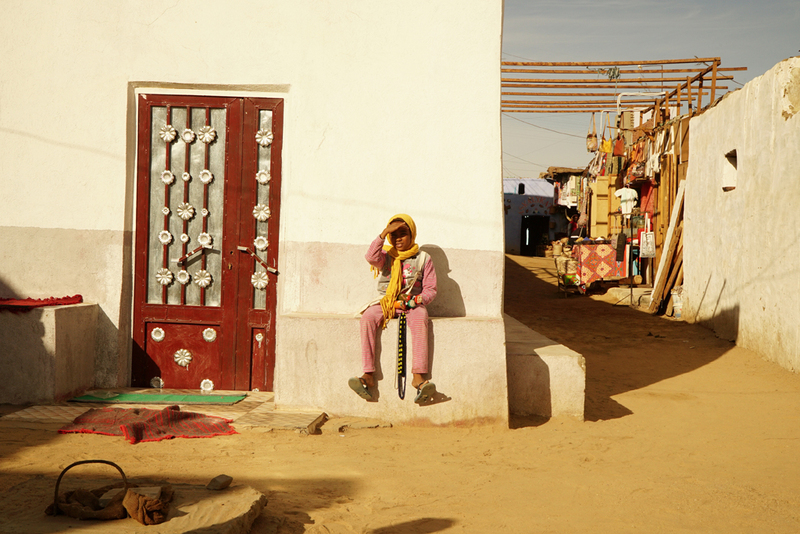 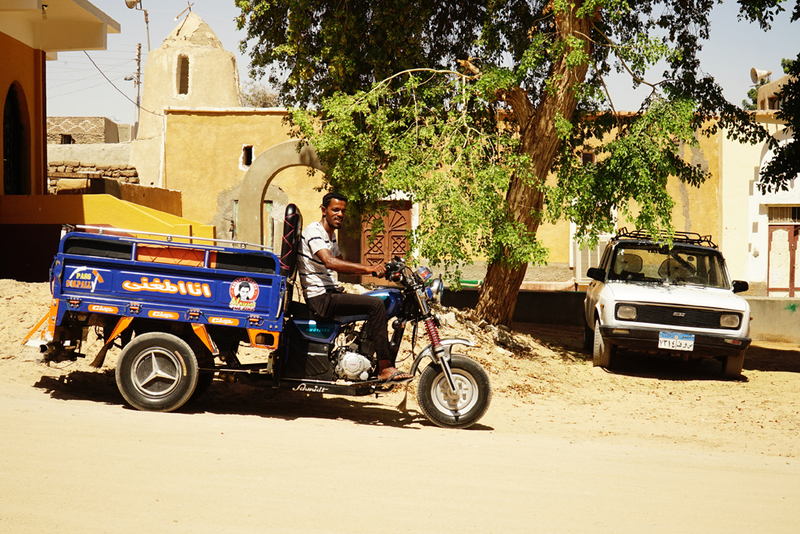 “Gharb Soheil: Relocated Nubian Village” is a project about the everyday life of generations of Nubians who were relocated in this new village, on the West bank of the Nile, south of Aswan. 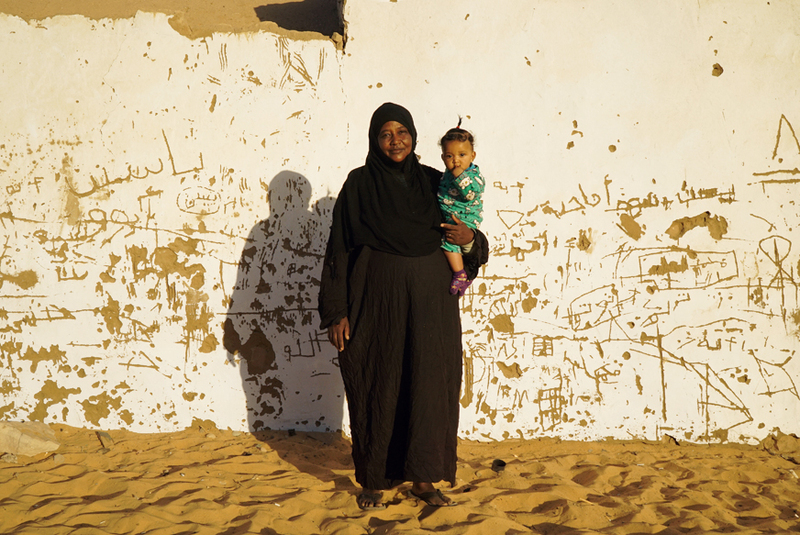 Massive immigrations have always happened for different reasons and toward places more or less far away, but always very difficult. 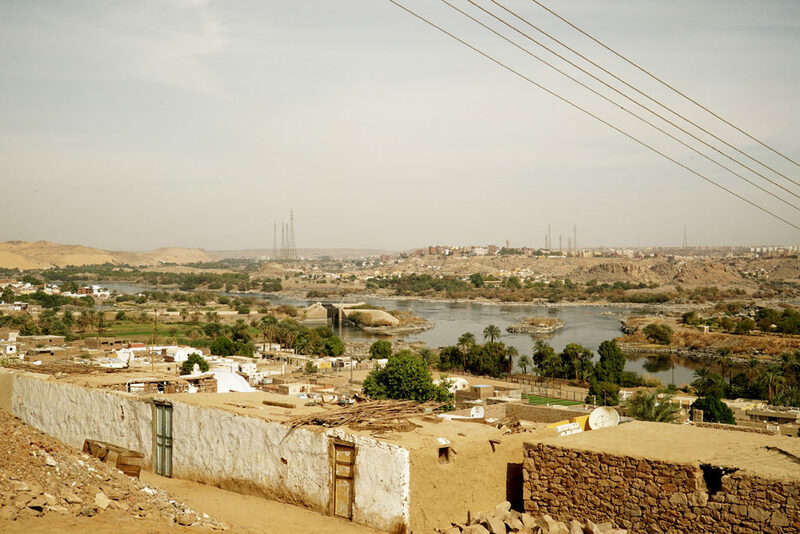 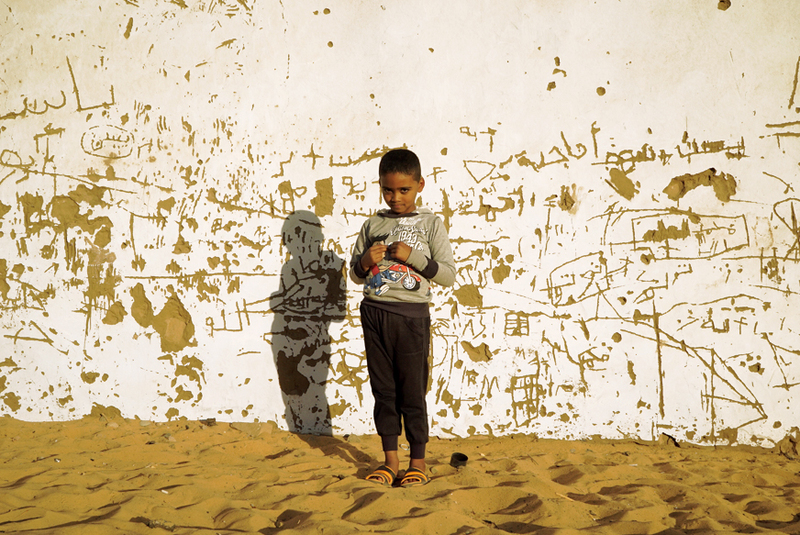 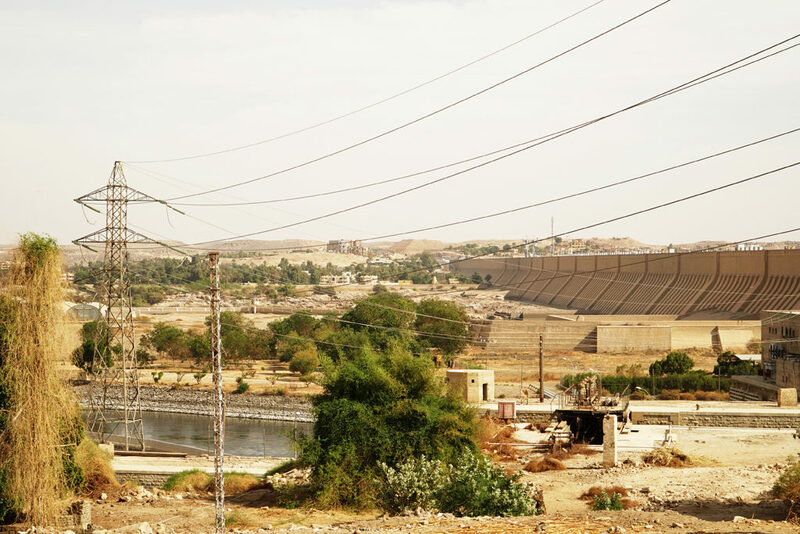 During the early – 1970s, with the end of the construction of the Aswan’s High Dam and the creation of the largest artificial Lake Nasser, 98,000 Nubians were forced to flee 39 villages. 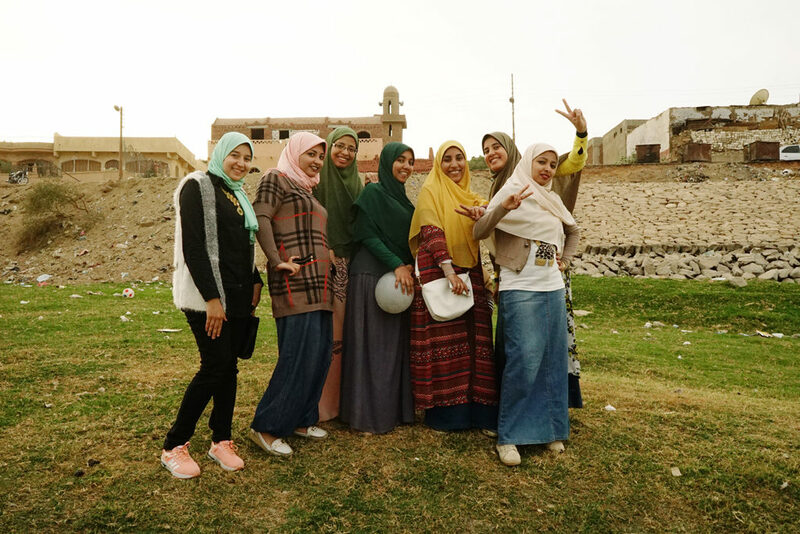 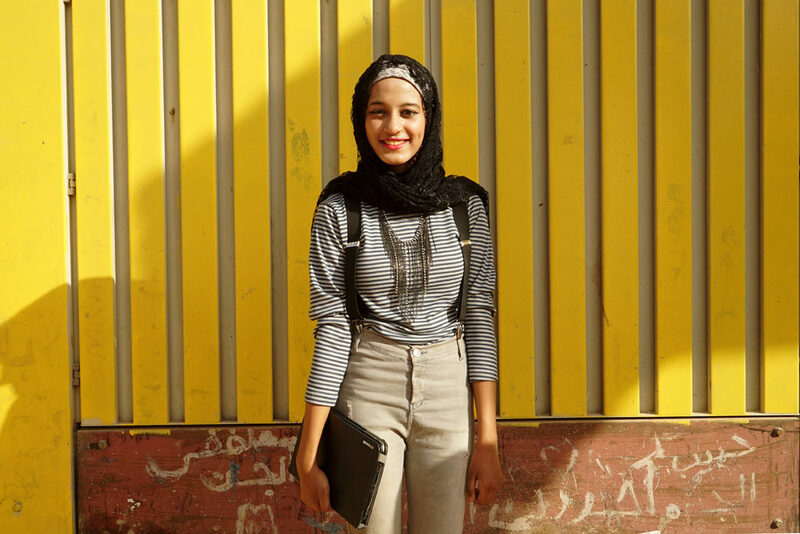 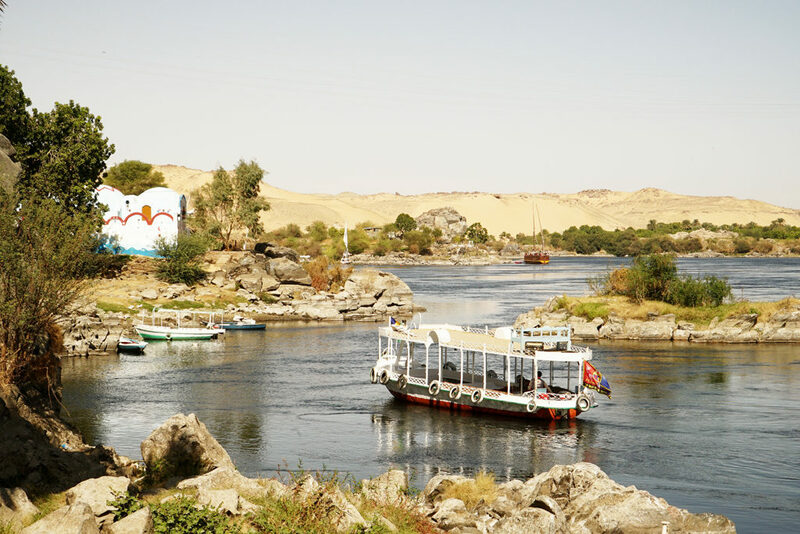 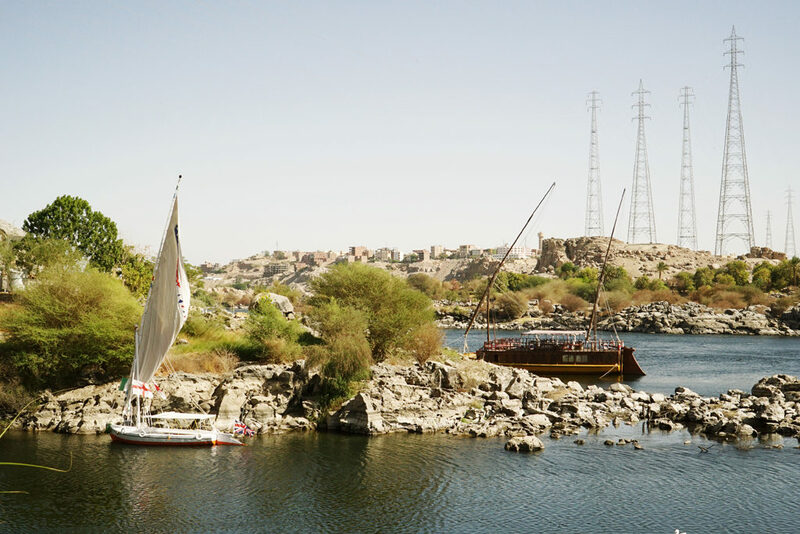 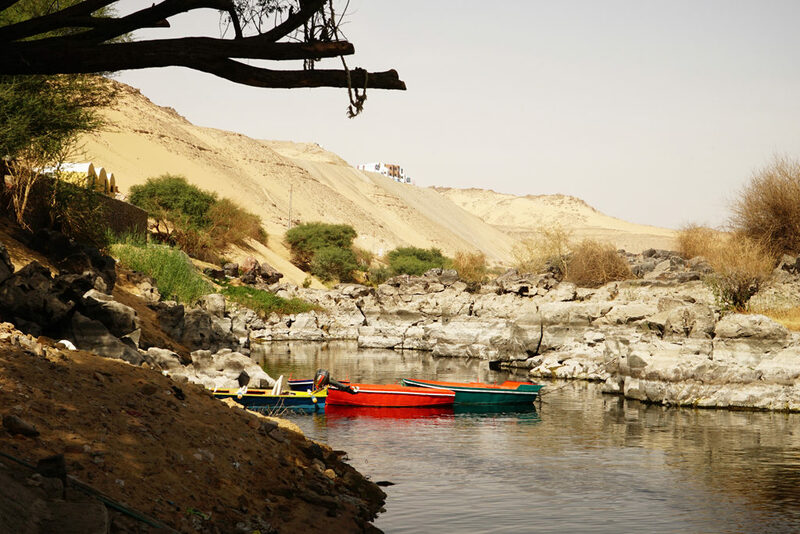 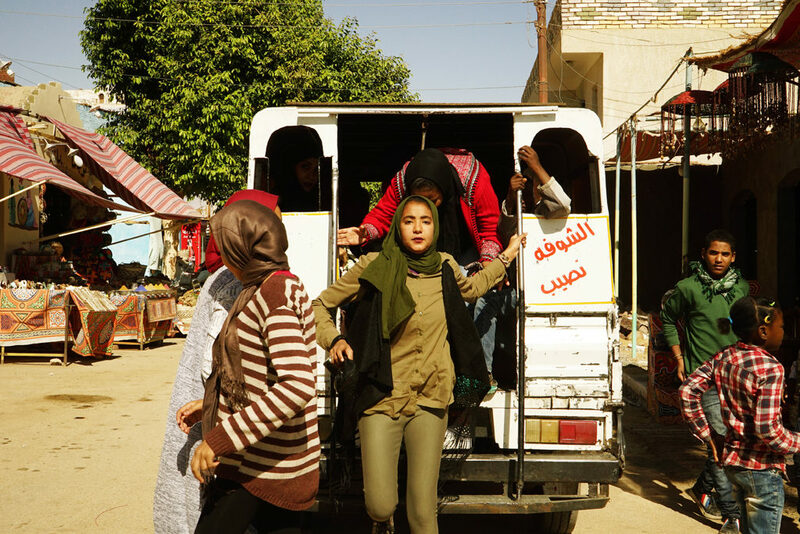 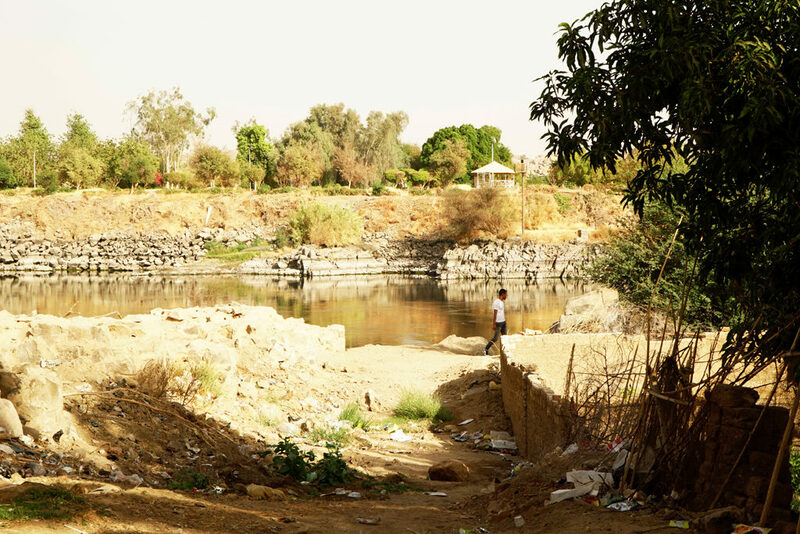 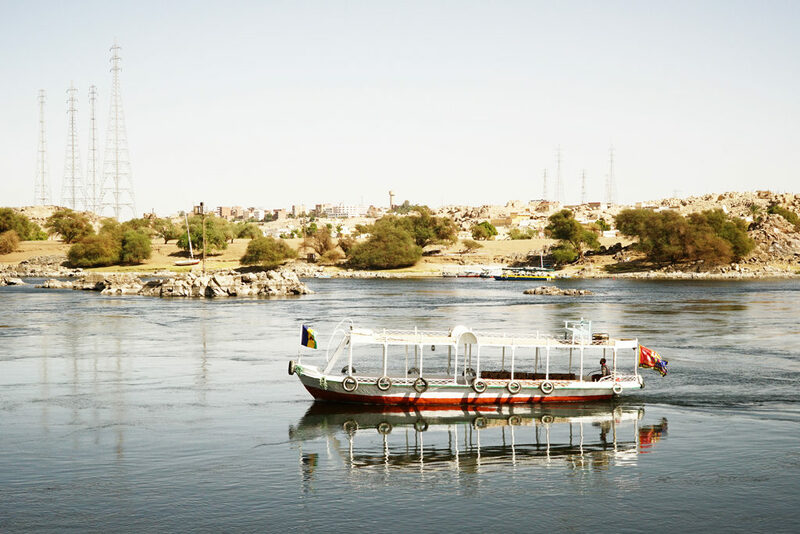 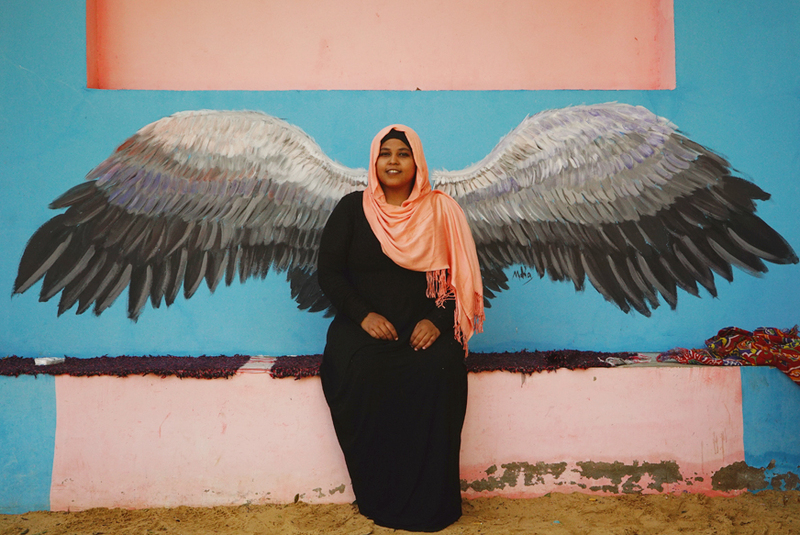 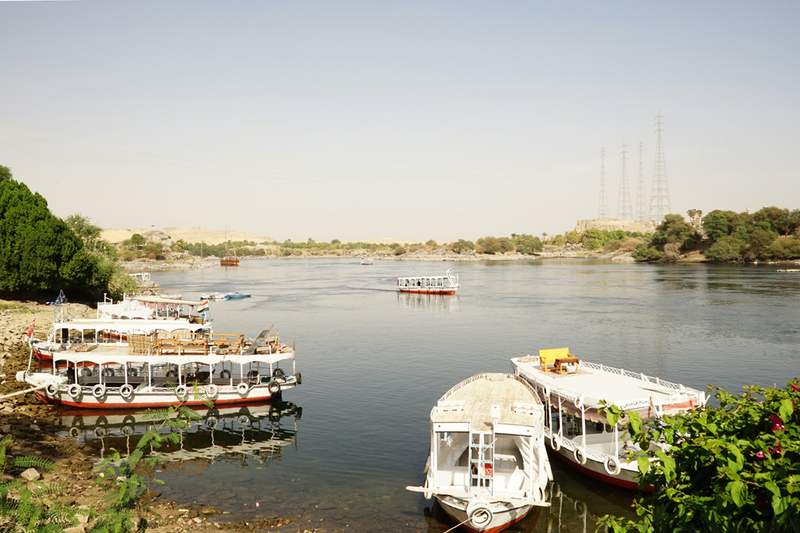 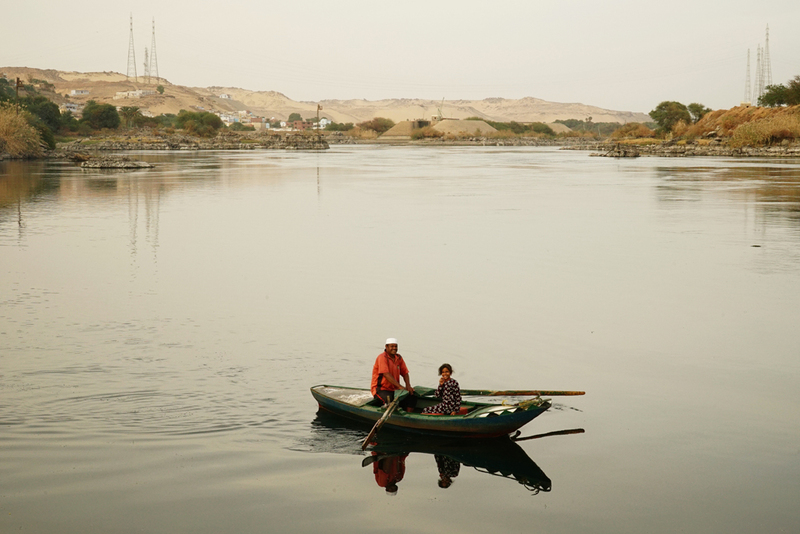 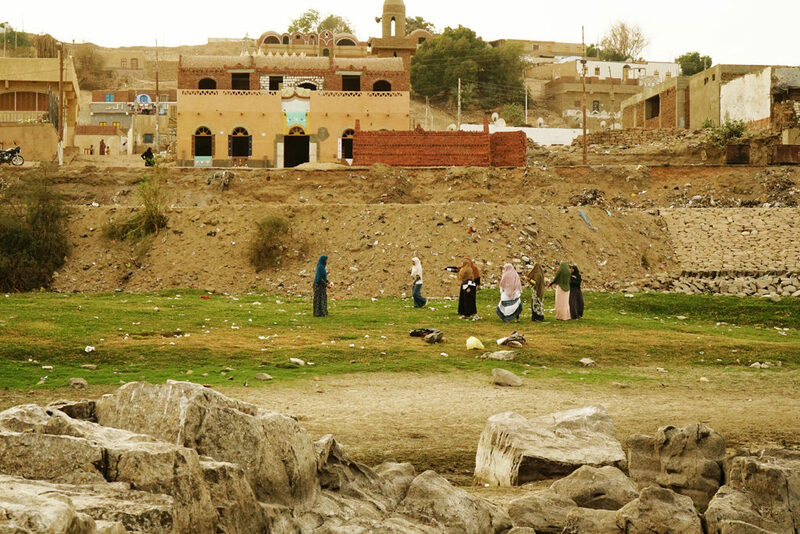 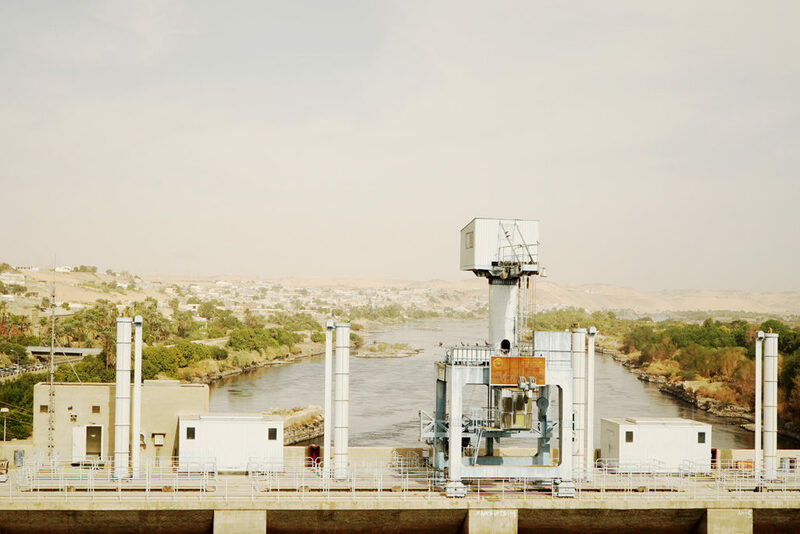 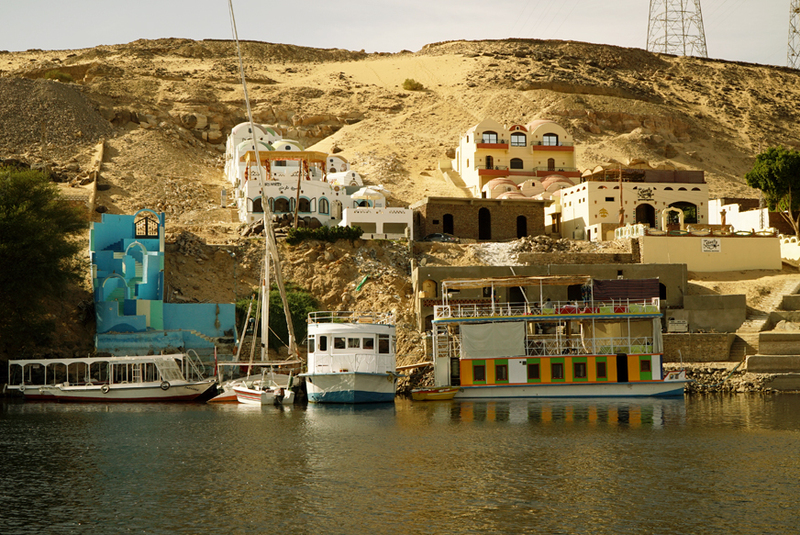 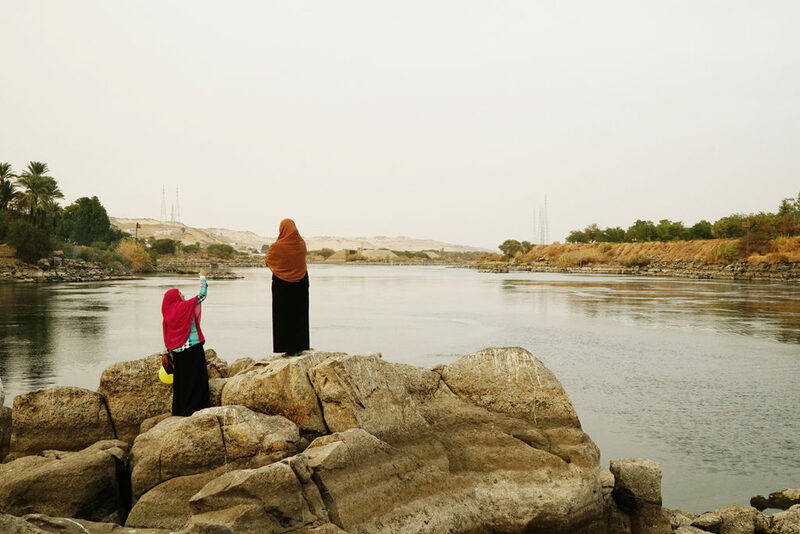 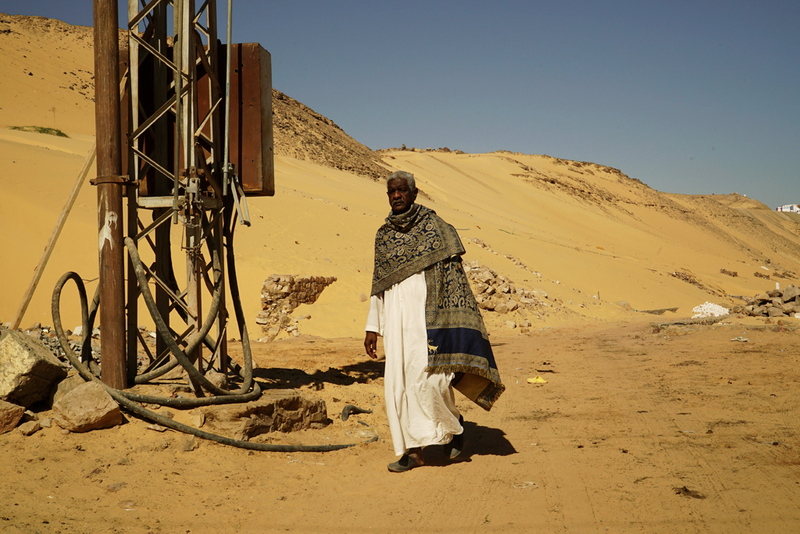 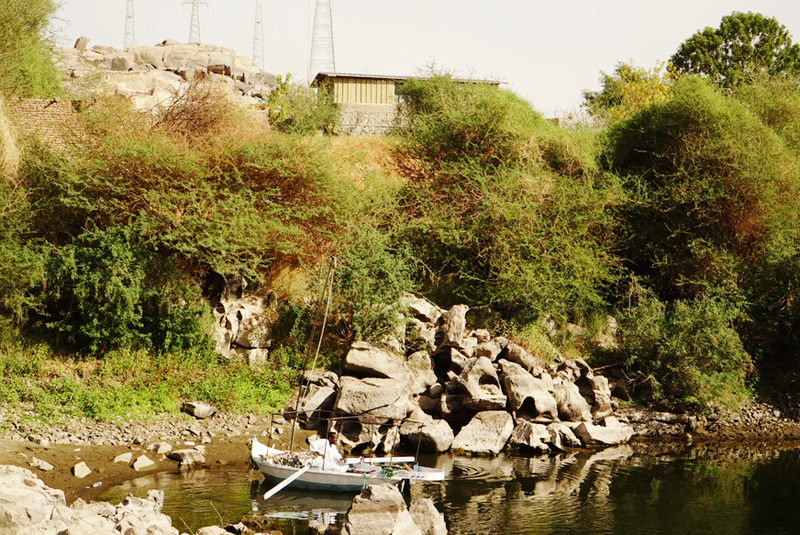 They left their stunning lands and unique history behind to sink beneath the rising waters and moved to new 44 villages, around Aswan and other northern towns. 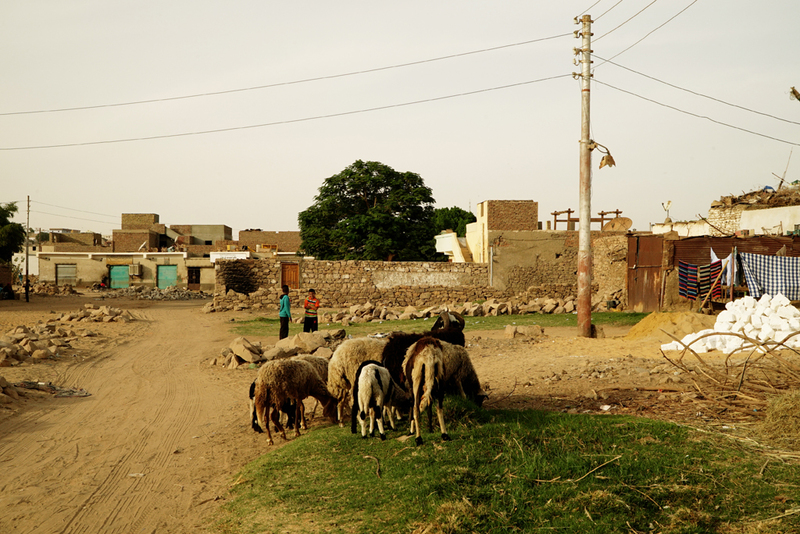 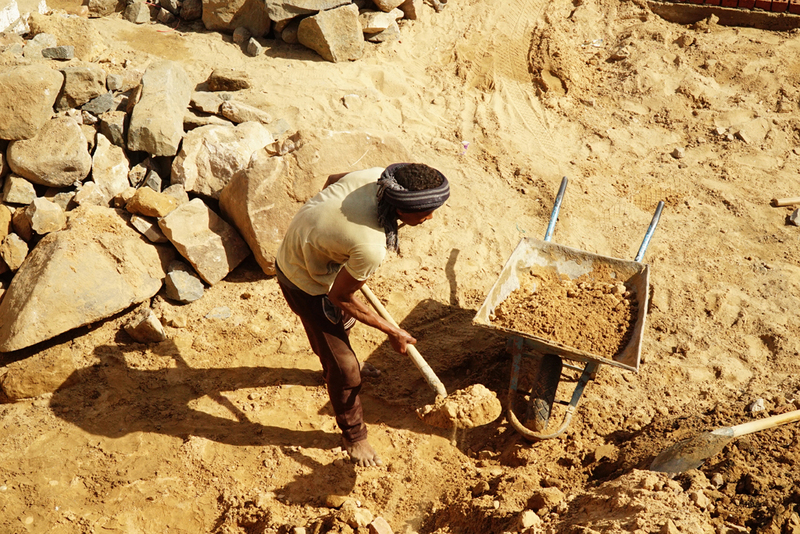 It was promised them to ensure new homes with electricity, running water and farmlands, but then the reality was very different. 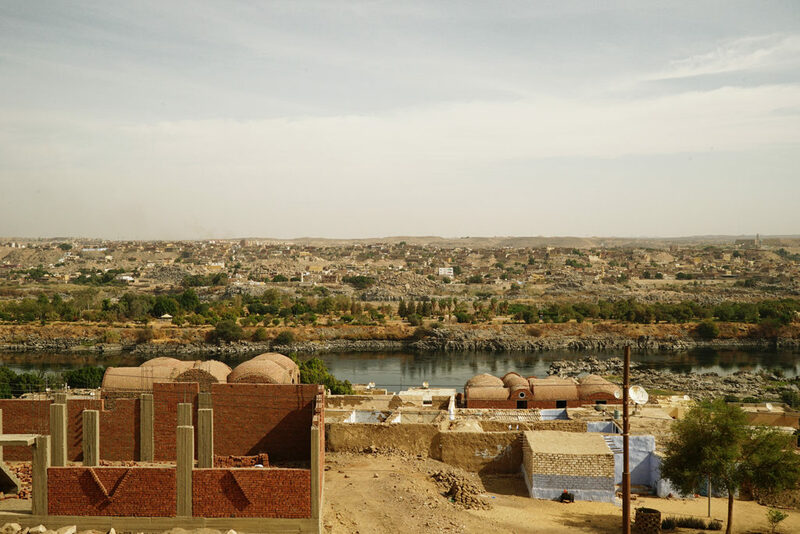 And thanks to the great UNESCO’s action, 23 Ancient Egyptian – Nubian Temples were saved and relocated more or less far away, but a lot is left under the lake. 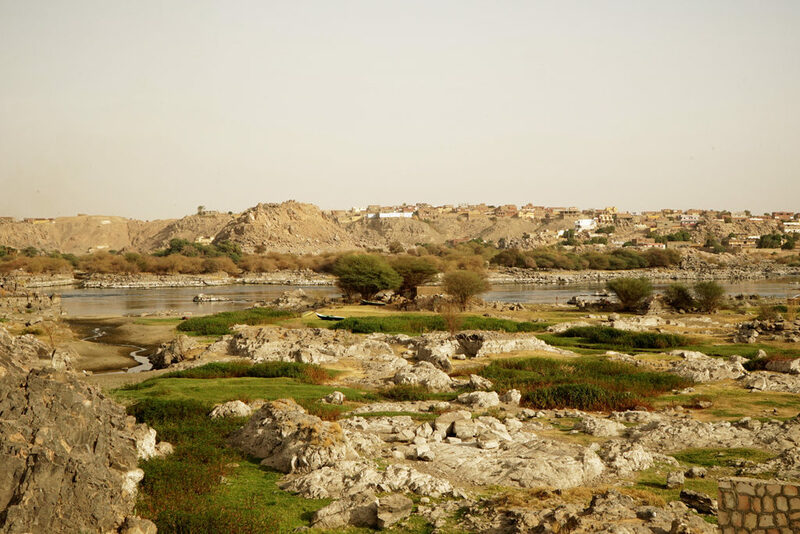 The ancient Nubian (Kushite) civilization, is one of the oldest in the world (8.000 BC, Nabta Playa) and well known also later for the XXV Dynasty of Nubian pharaohs, which united their land to the Lower and Upper Egypt, creating the largest Egyptian empire from 744–656 BC. 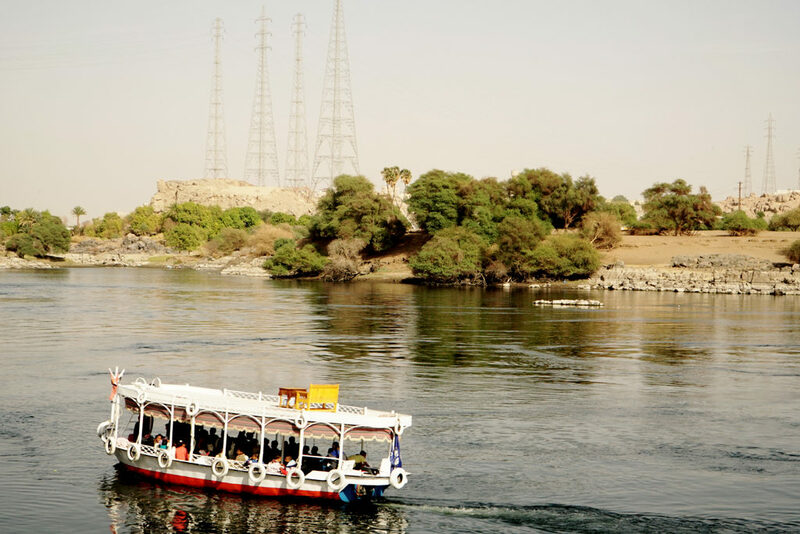 Lately, with the end of colonialism and the establishment of the Republic of Egypt (1953) and the session of the Republic of Sudan (1956), from the union with Egypt, the ancient Nubia was divided between Egypt and Sudan. 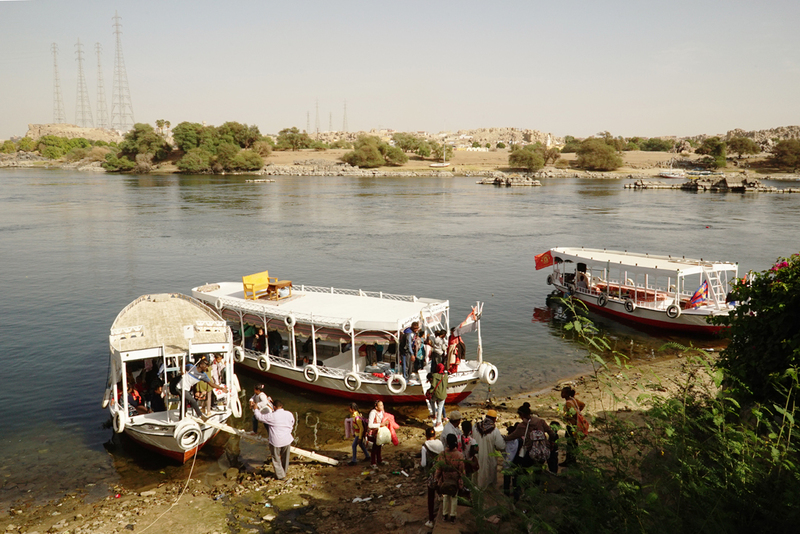 And after that, in only few decades almost all Nubia disappeared under the water and only in the Nubian Museum of Aswan a part of its history has been preserved, but all their original identity, culture and architectures are gone for ever with their lands. 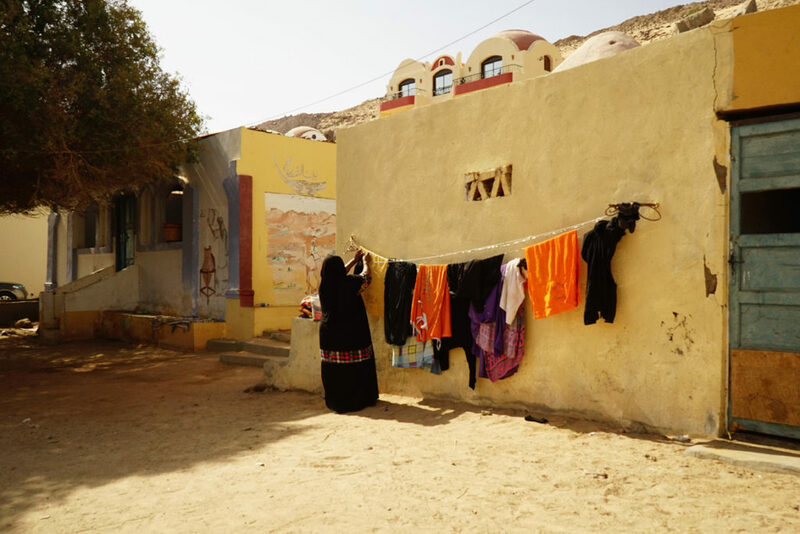 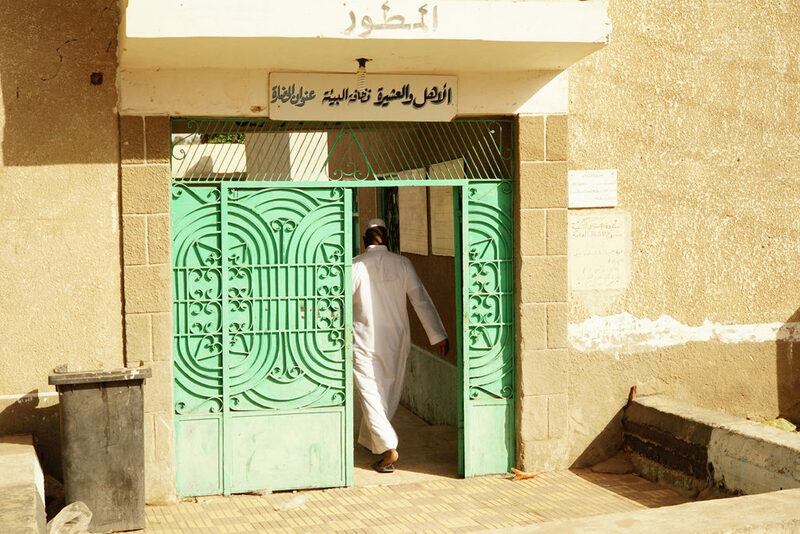 Today in Gharb Soheil is still possible to meet the older generation, who have moved and built in a new land their new “traditional” homes and the new generations, who have grown and born here until now, with 3,000 inhabitants. 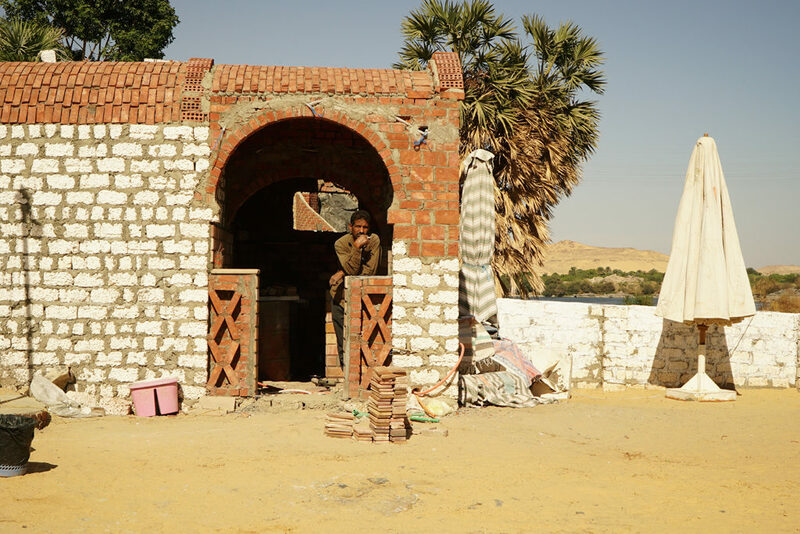 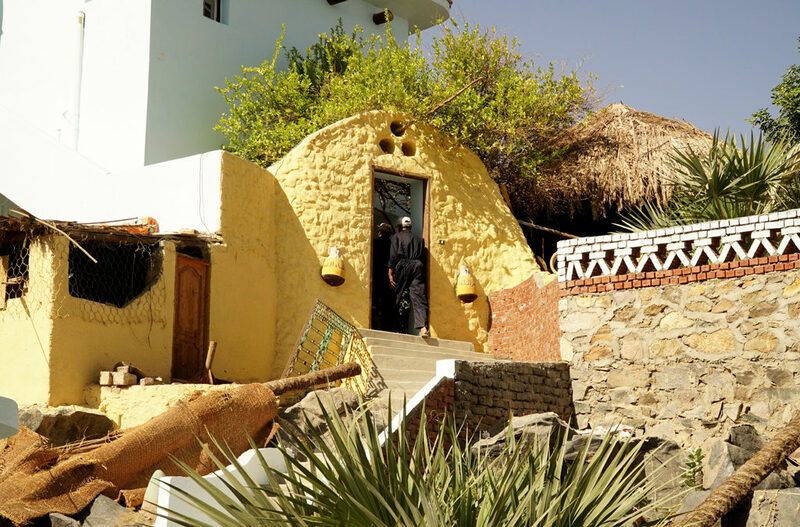 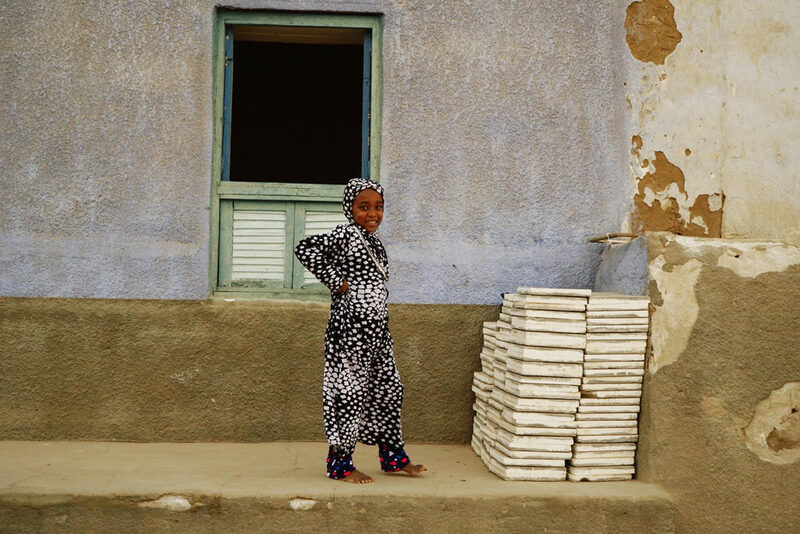 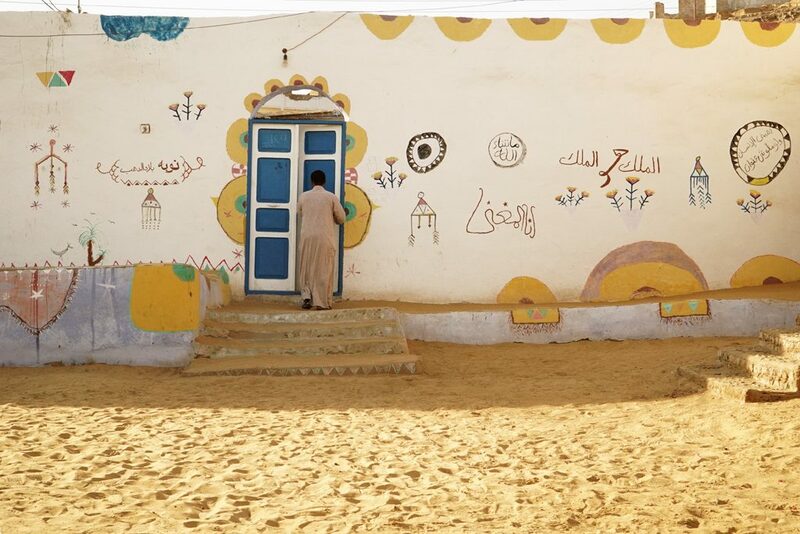 The bright and colorful walls of the simple mud-brick houses of this particular and traditional rebuilt Nubian village, between the blu clean Nile and the yellow sand desert, tell countless stories about these people with a such stunning ancient knowledges. 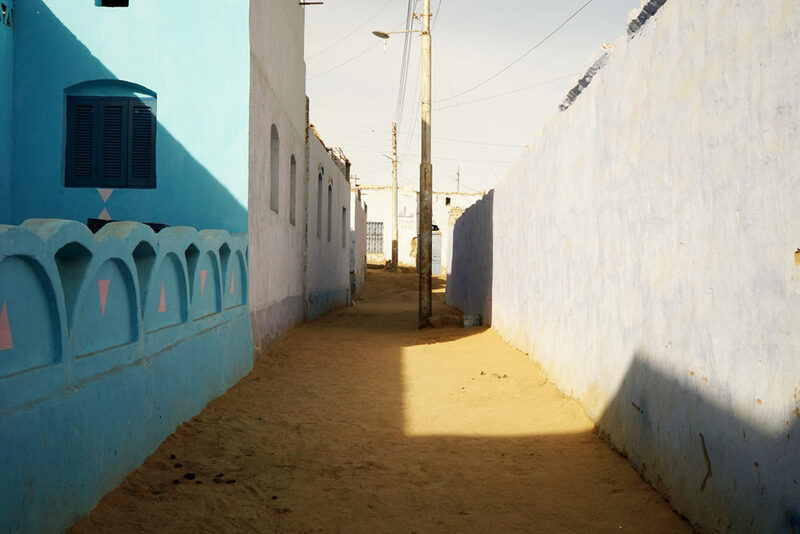 But these “new” villages, of course, are very far from the original beauty of their houses, with beautiful bends design decorated faced, now under the water. 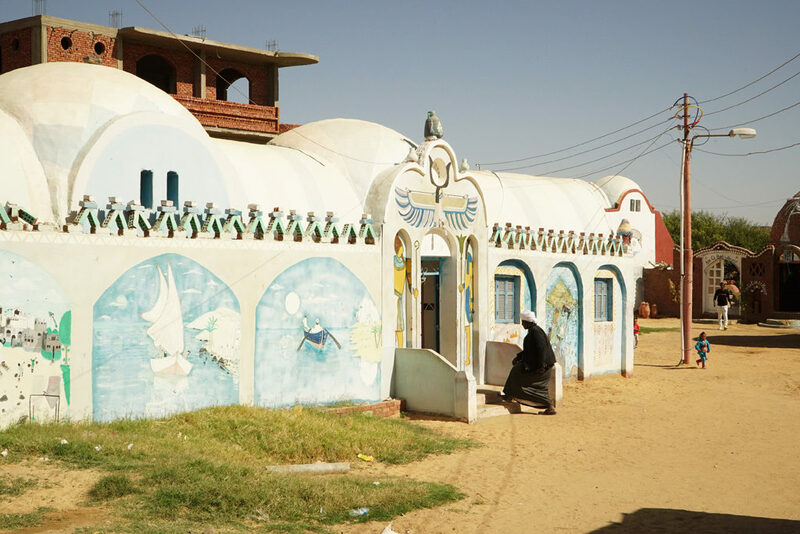 This is the most particular relocated village where is possible to get to know a little bit about the hidden charms of the Nubians’ unique culture, language, traditions, music, art, crafts and food. 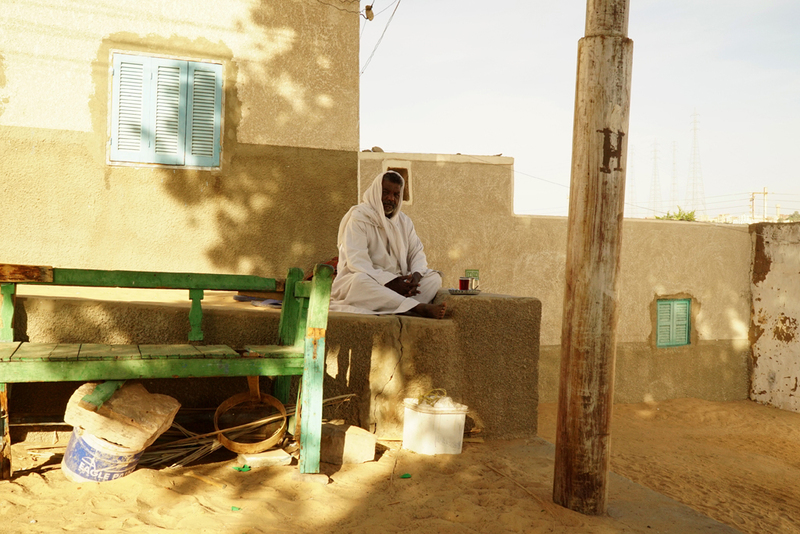 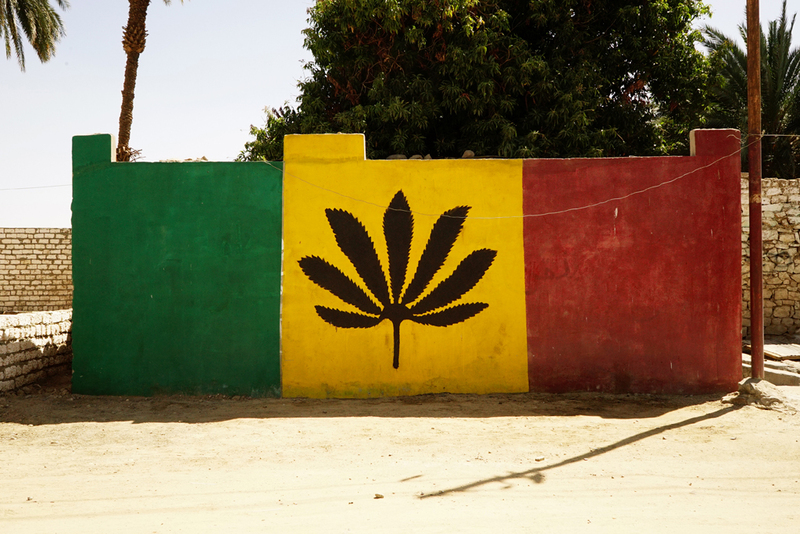 Despite their big history, culture and habitat loss, they try to keep their heritage alive. They continue to bequeath folkloric tales of gold, gods and glory to each new generation, appreciating their unique culture and this beautiful place, where nature and wildlife is stunning in this part of the Nile. 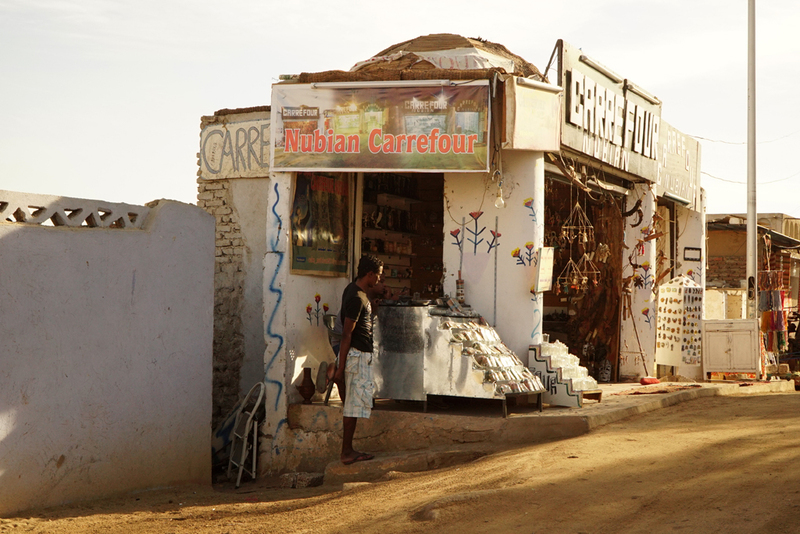 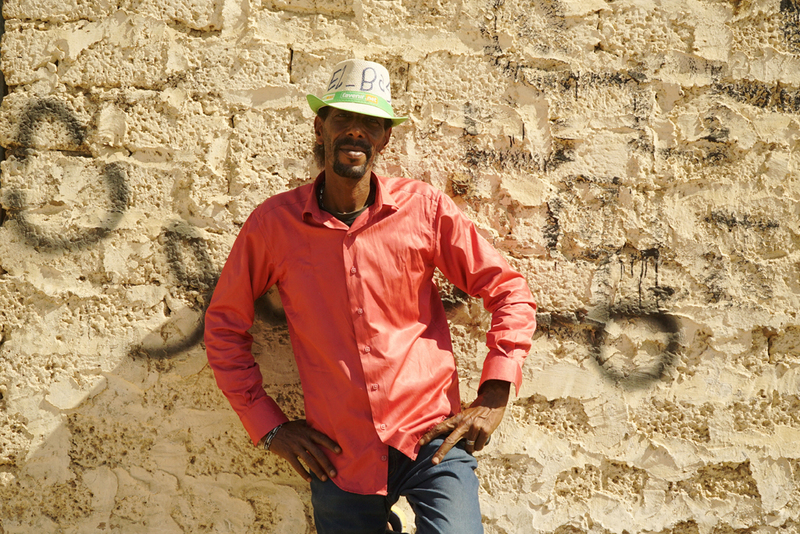 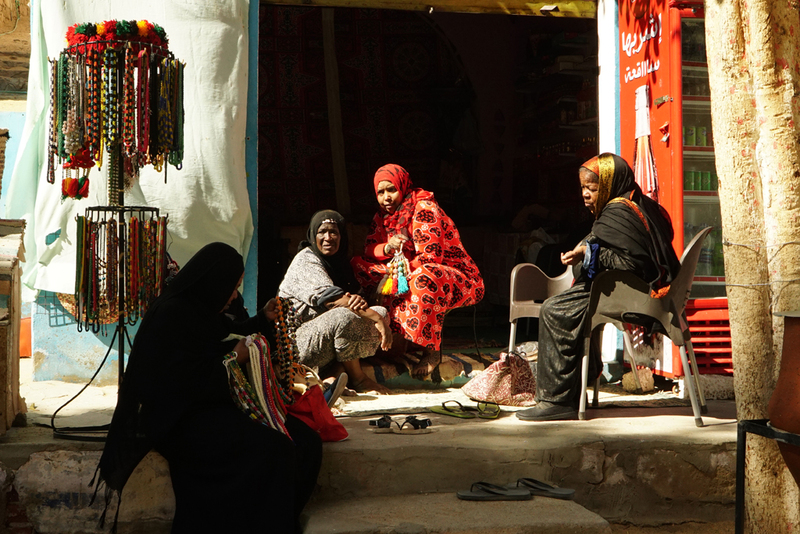 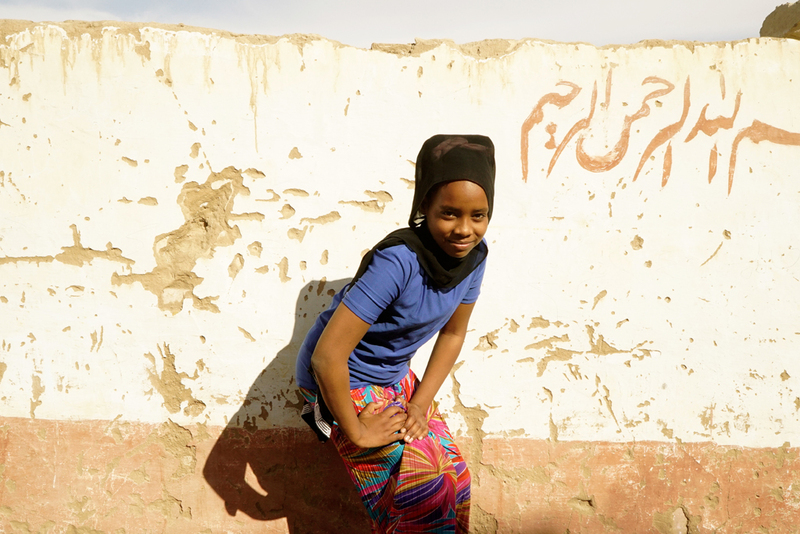 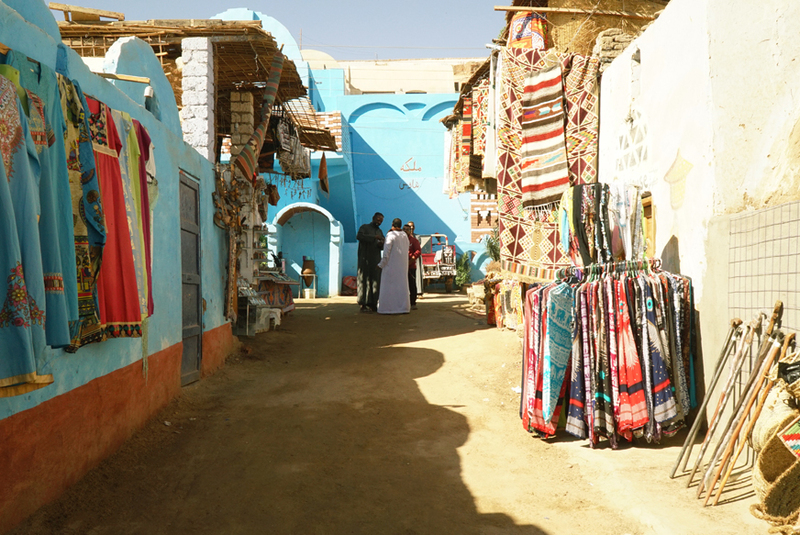 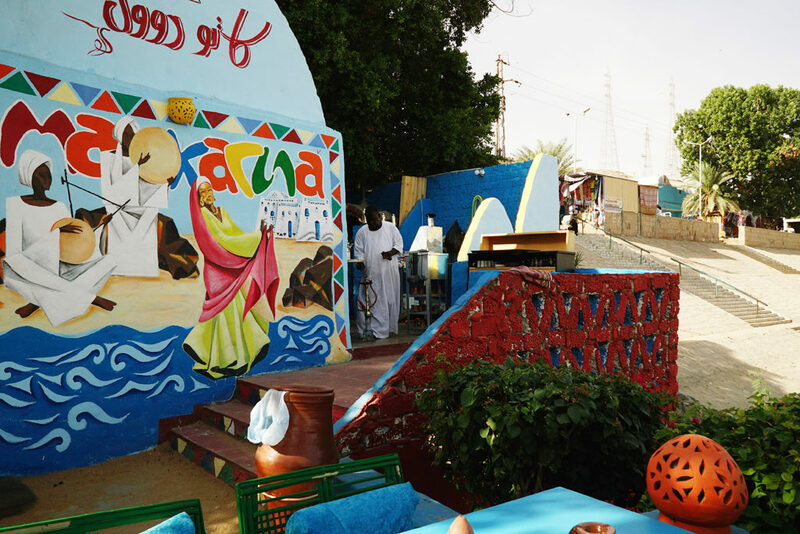 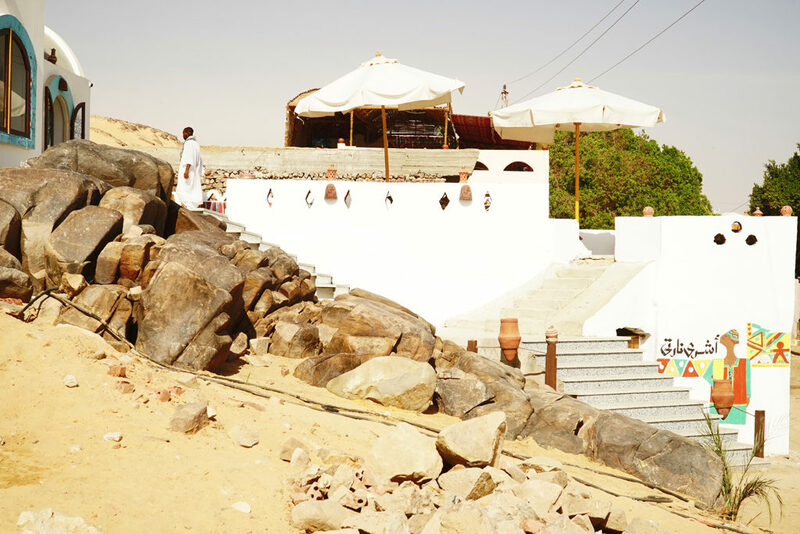 The Nubians have always had a strong social, community and family bond and hospitality is very important. 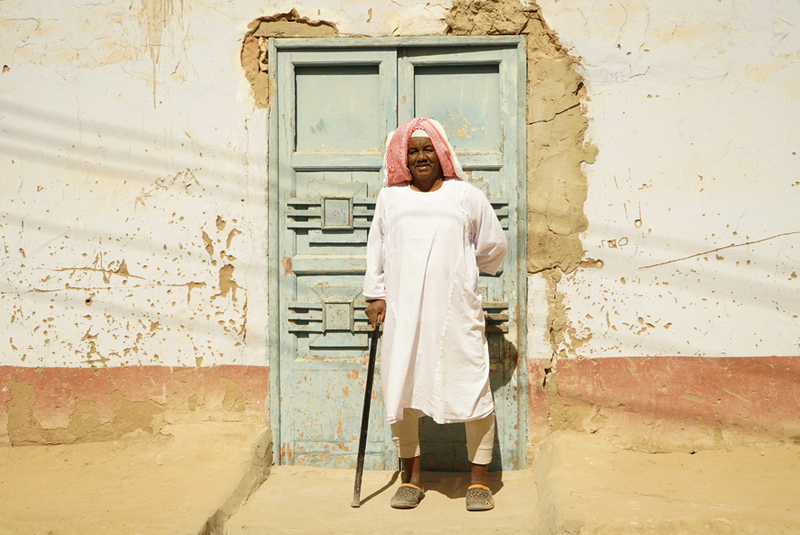 The older men’s generation still wearing the traditional long cotton clothes, but the kids and teen-agers have a western modern style and often are mixed with interesting look. 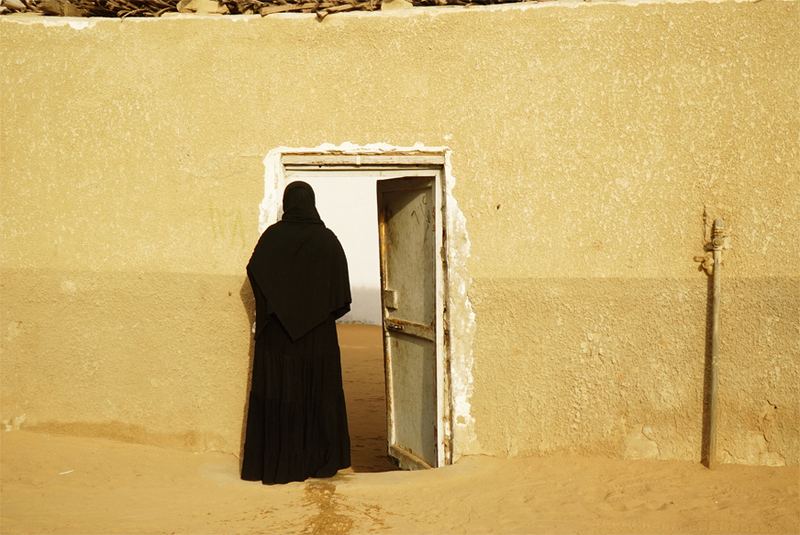 Here, not many women cover their face on their traditional long dress often black. 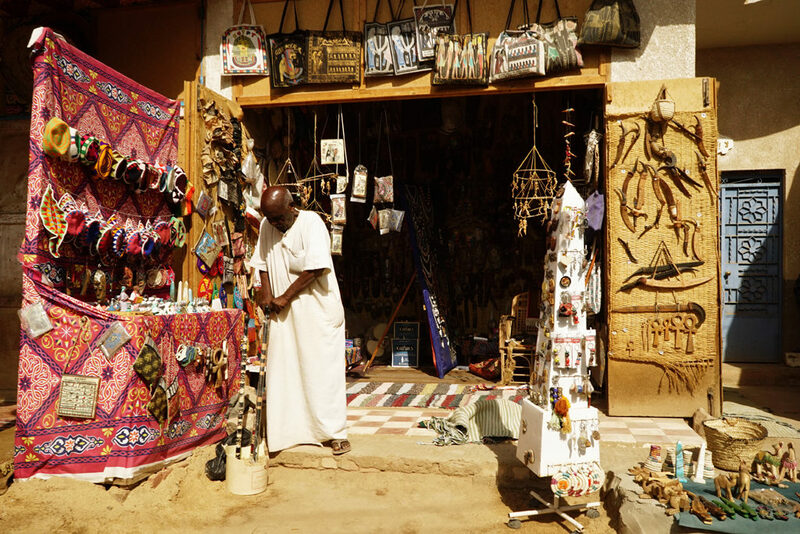 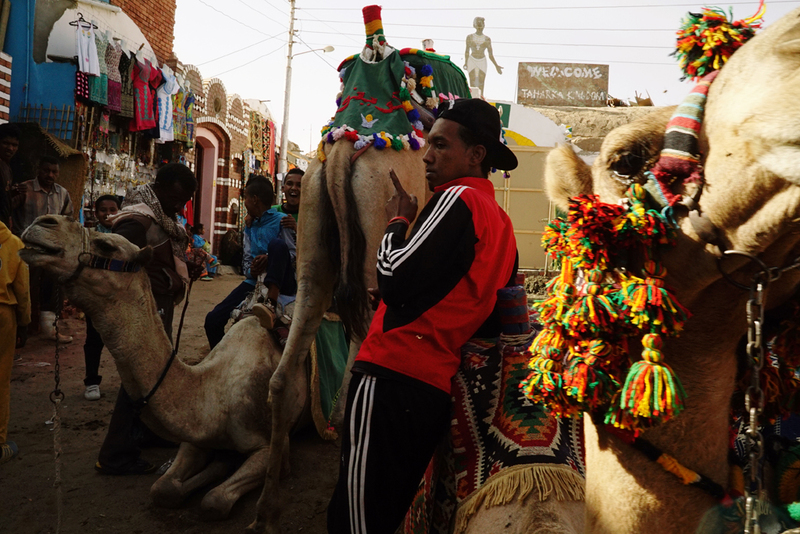 A part of their economy depends on the winter tourist season, that in the last years went down a lot in all Egypt, but despite all that, their natural cheerfulness, hospitality and pride is visible in the dark and expressive eyes of their ancient Nubian traits.